Once you have registered on Eventbrite, please print and fill out a Registration Form (1 per team) and Waivers (1 per participant) at the bottom of this page. 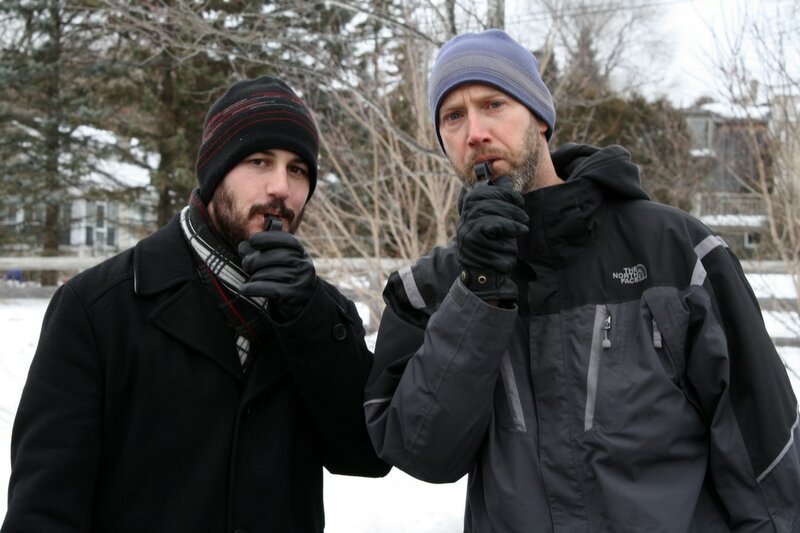 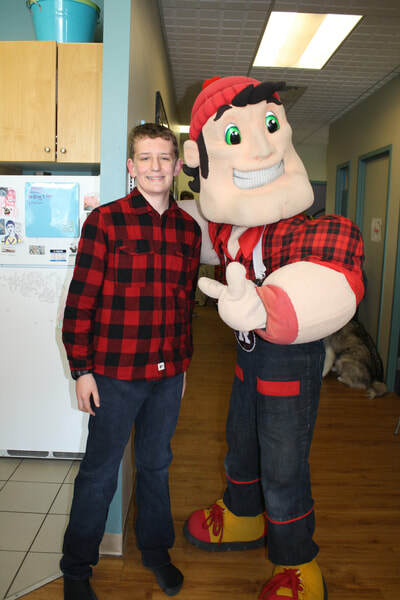 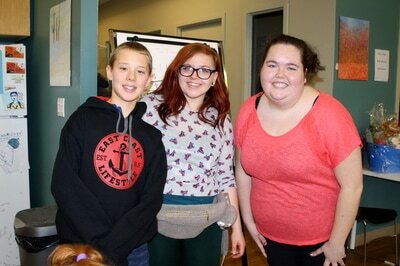 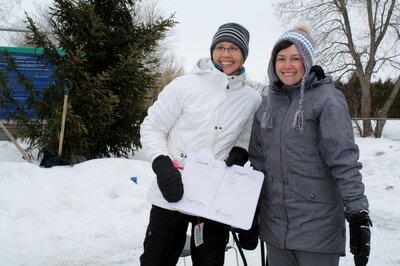 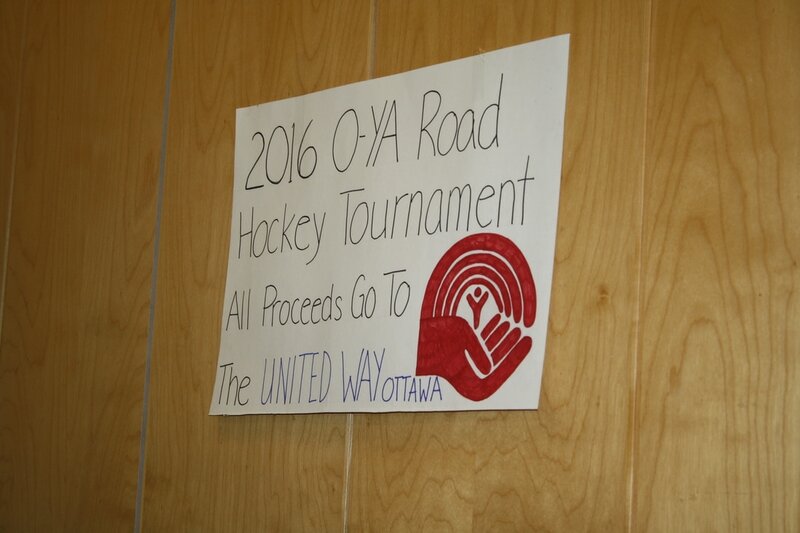 Completed forms can be emailed to carley@o-ya.ca or delivered to O-YA in person. 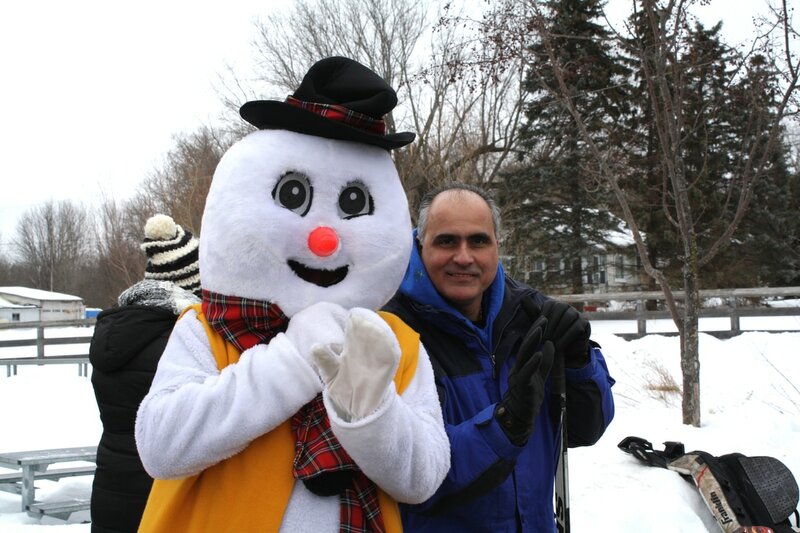 Registration deadline is Wednesday, March 21 at 5 pm. Spaces are limited, and spots are awarded on a 'first come, first served' basis. 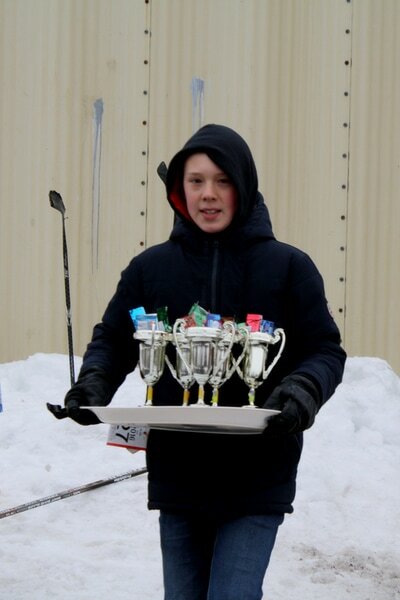 There is a maximum limit of 10 teams, and we need a minimum of 6 teams to run the tournament. 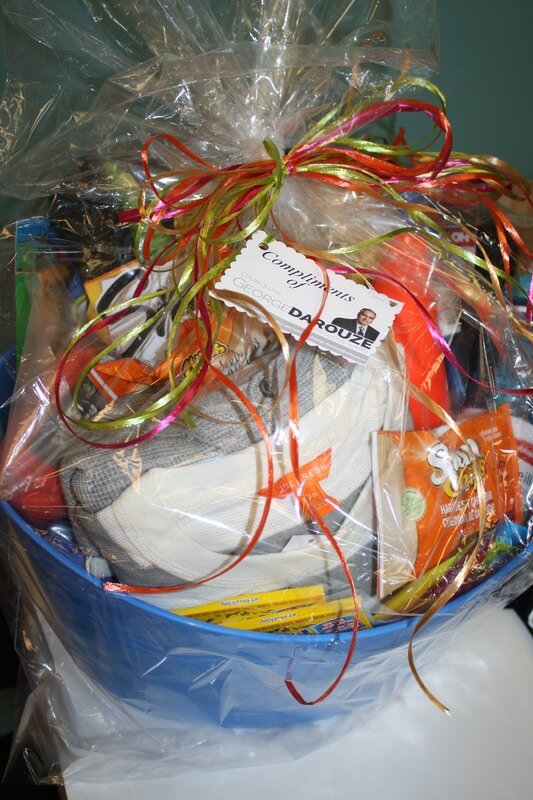 Payment, Registration Forms & Waivers must be submitted no later than Friday, March 23 @ 5 pm. 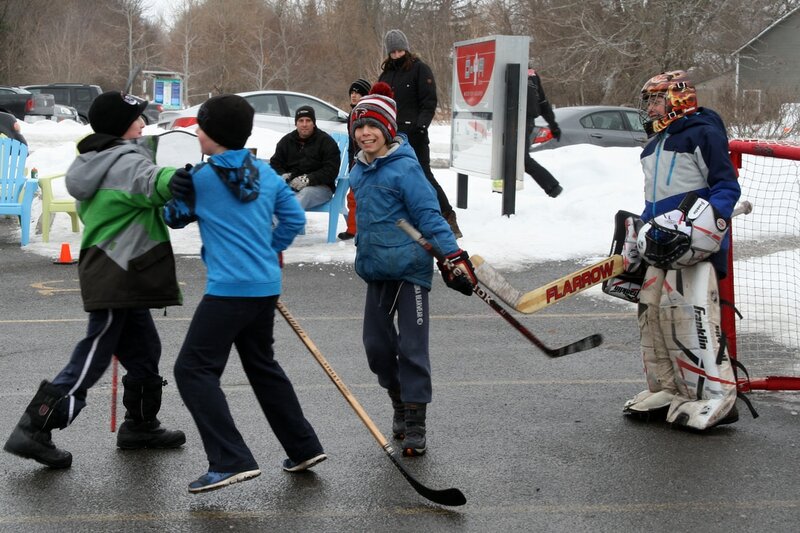 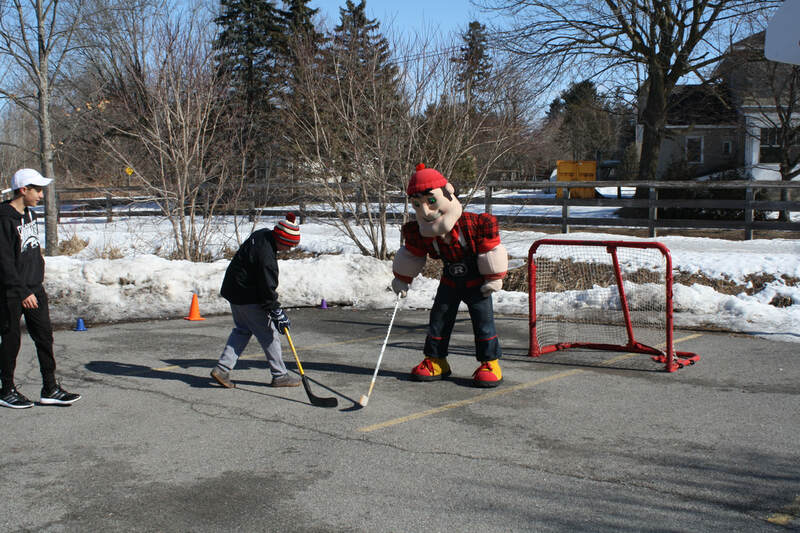 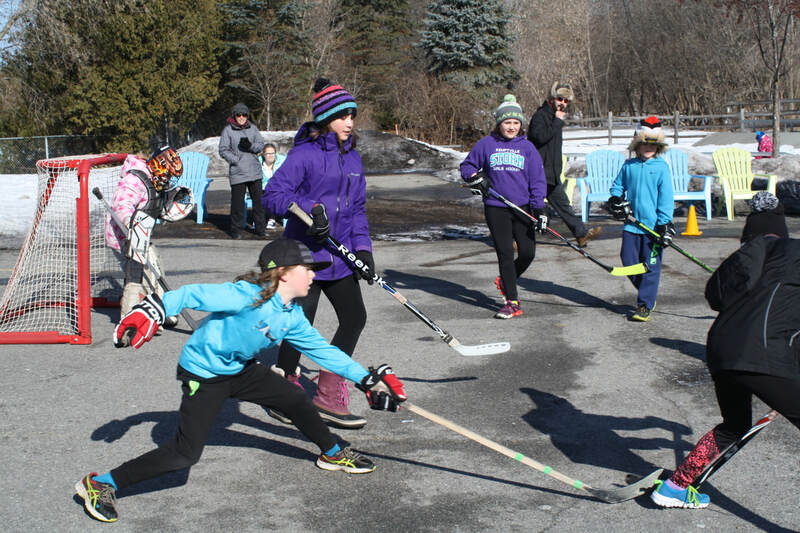 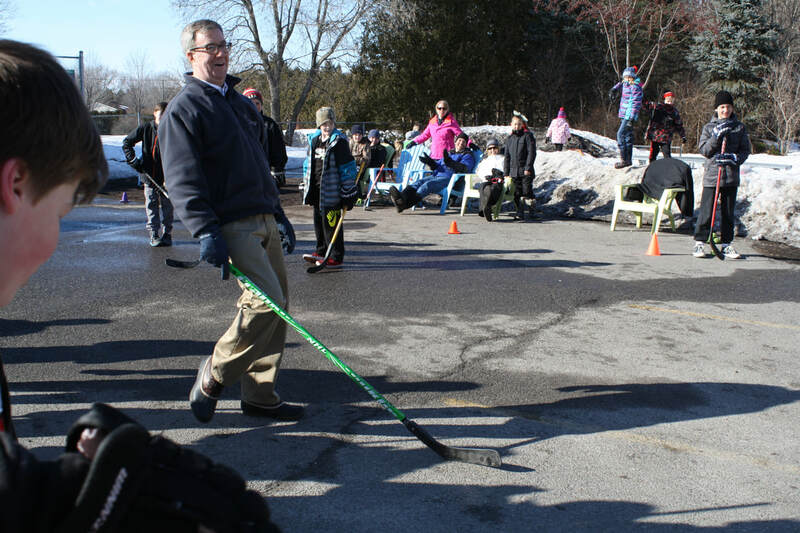 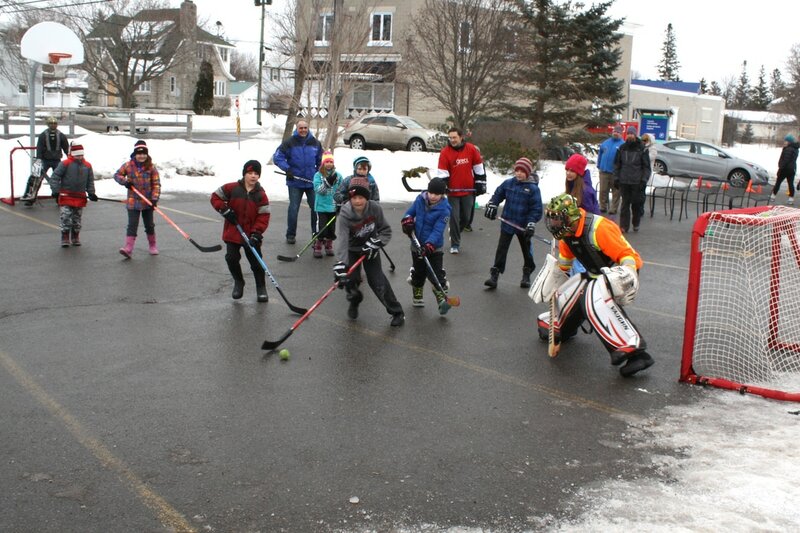 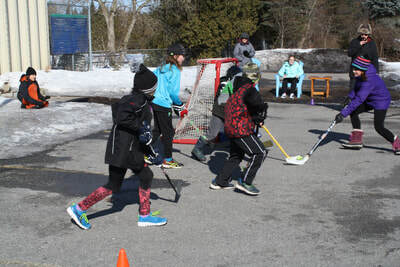 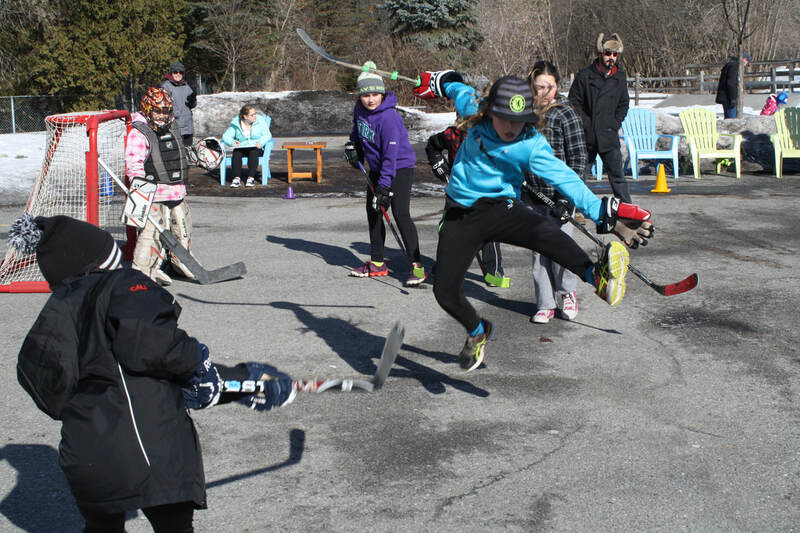 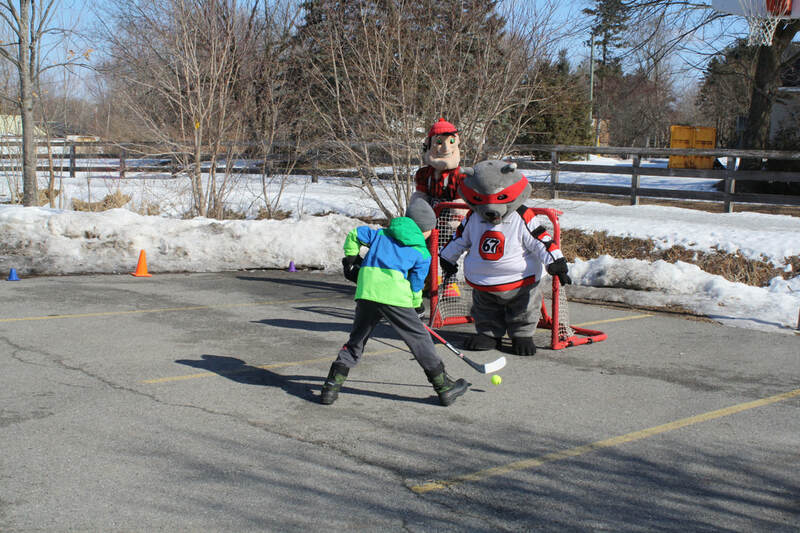 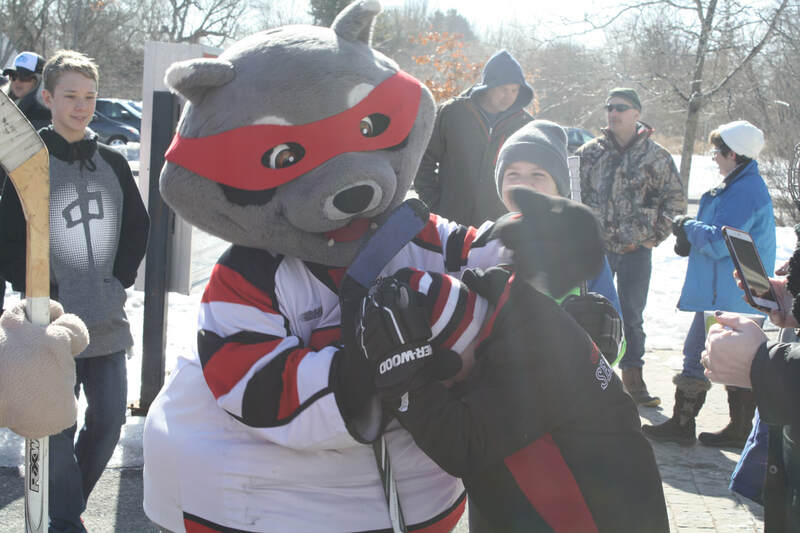 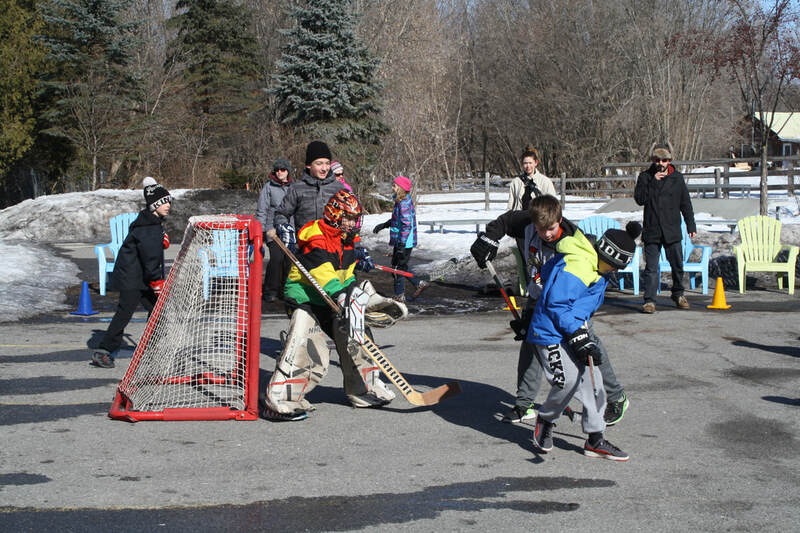 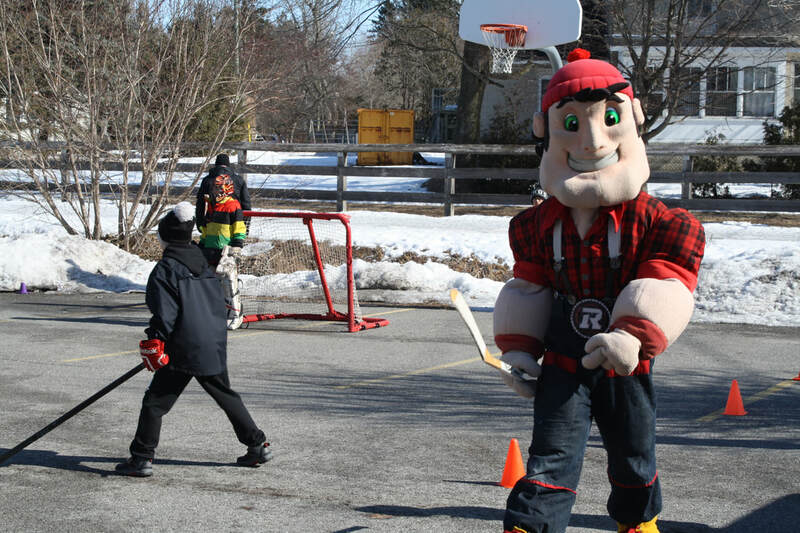 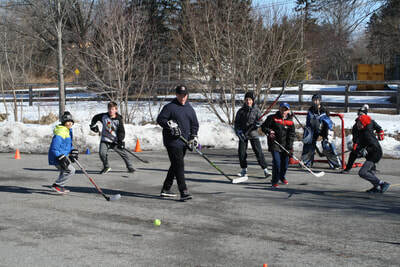 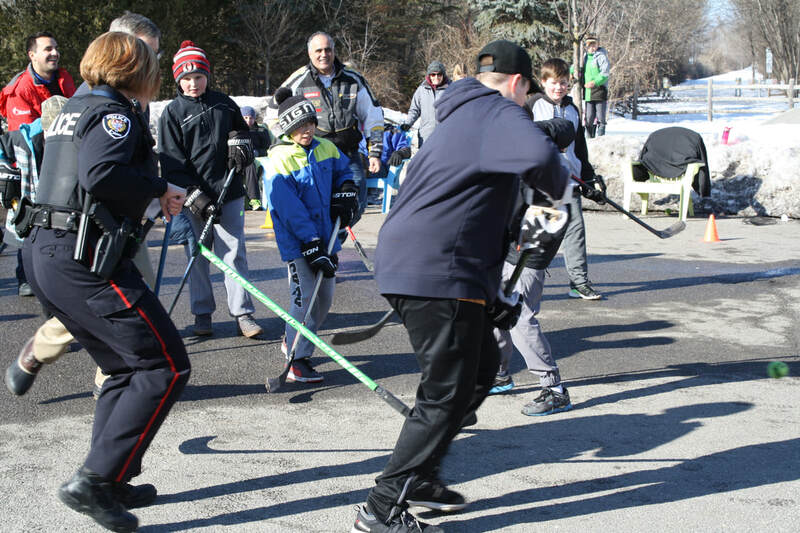 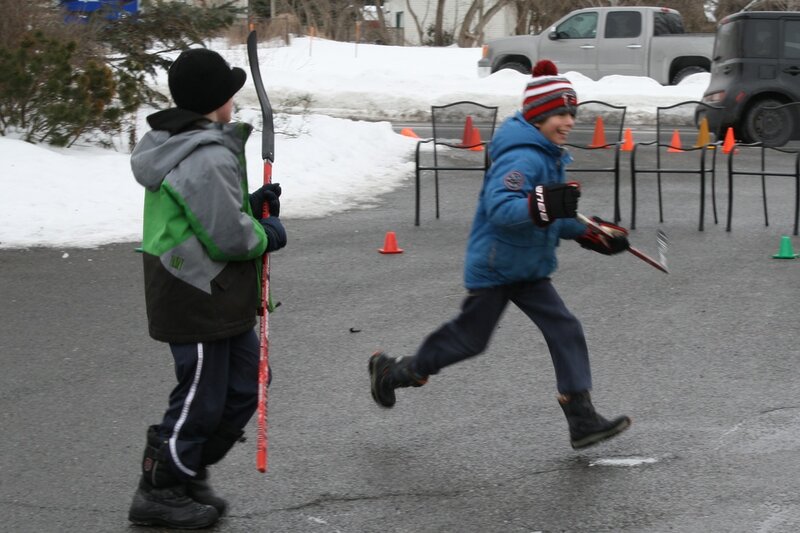 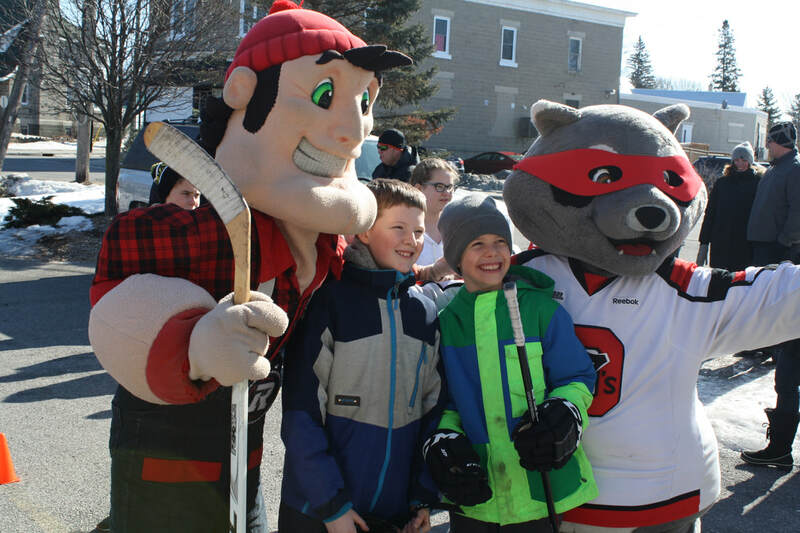 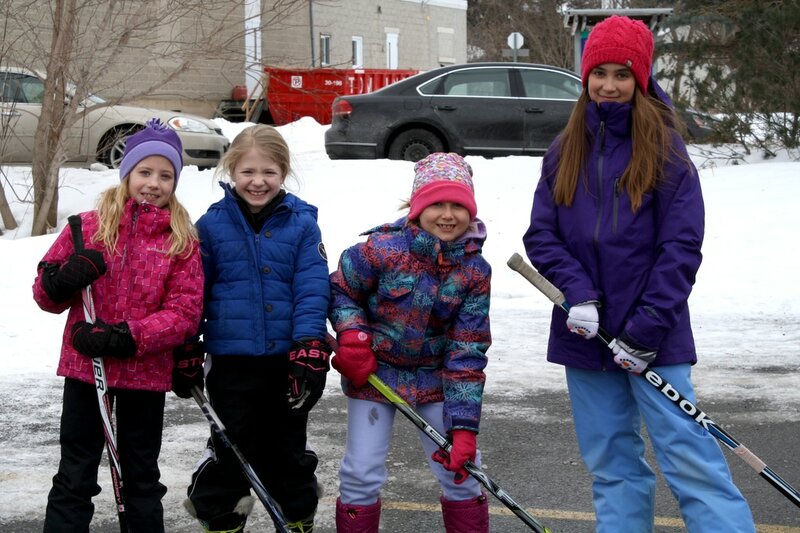 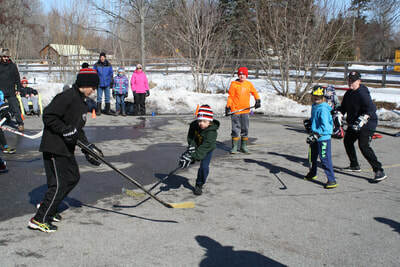 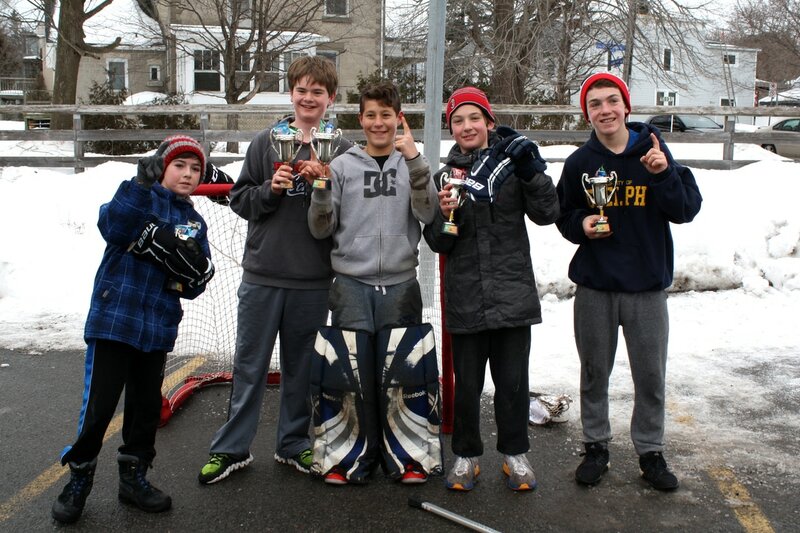 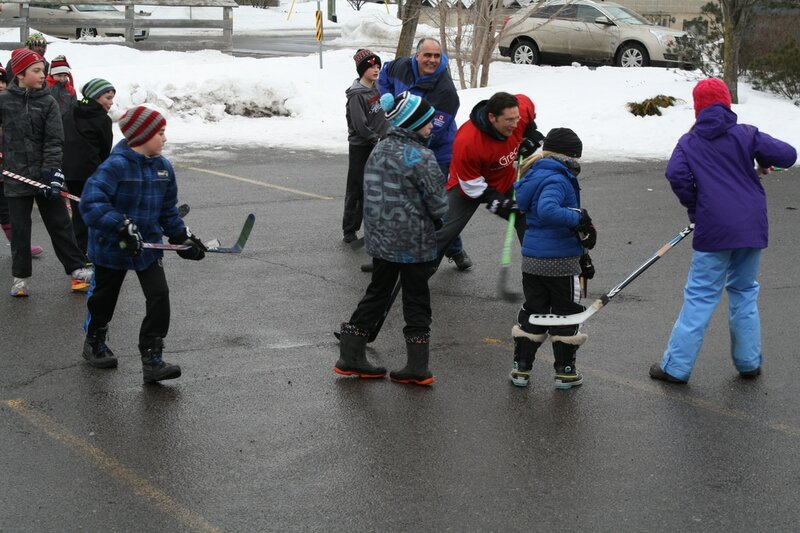 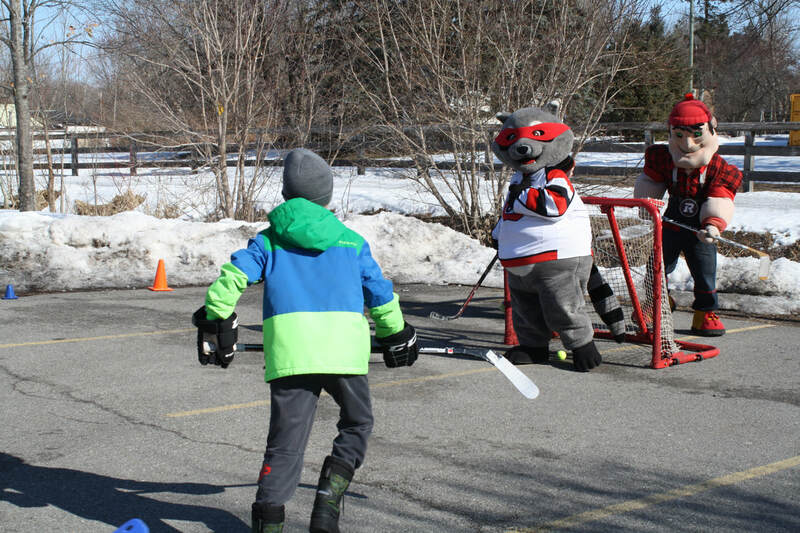 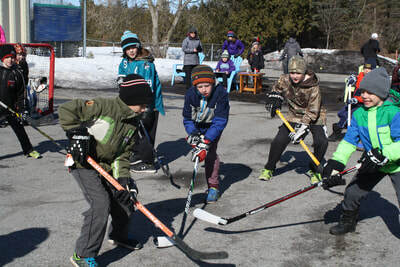 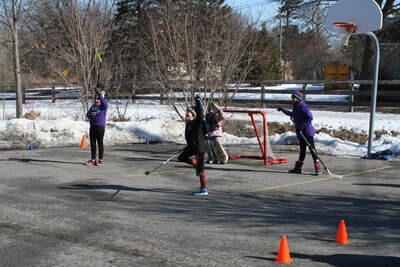 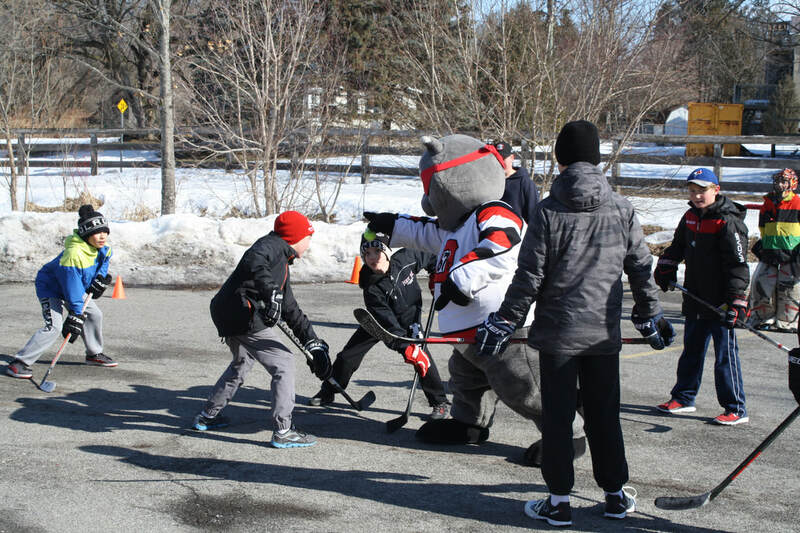 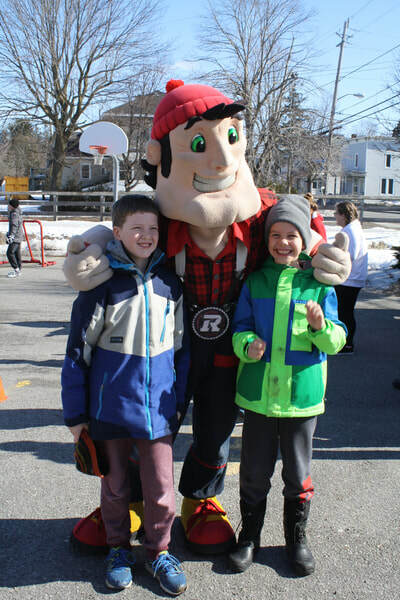 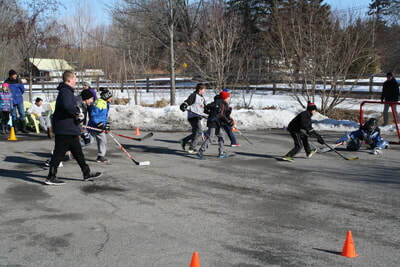 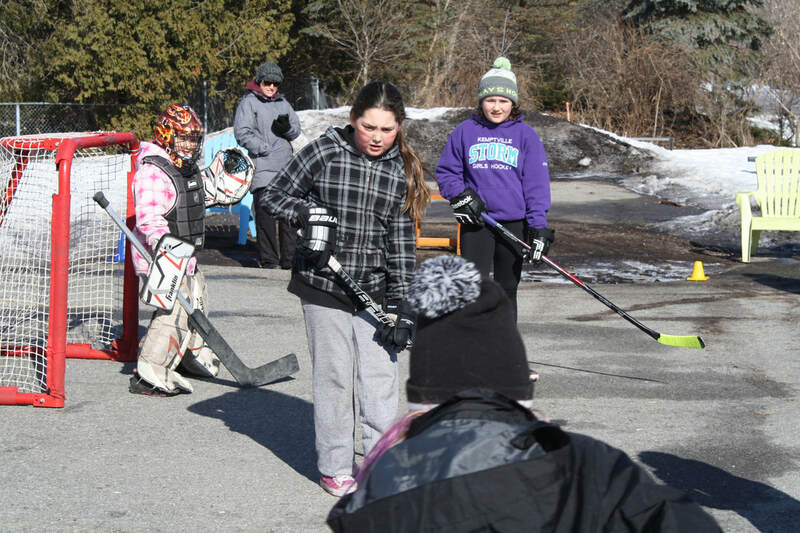 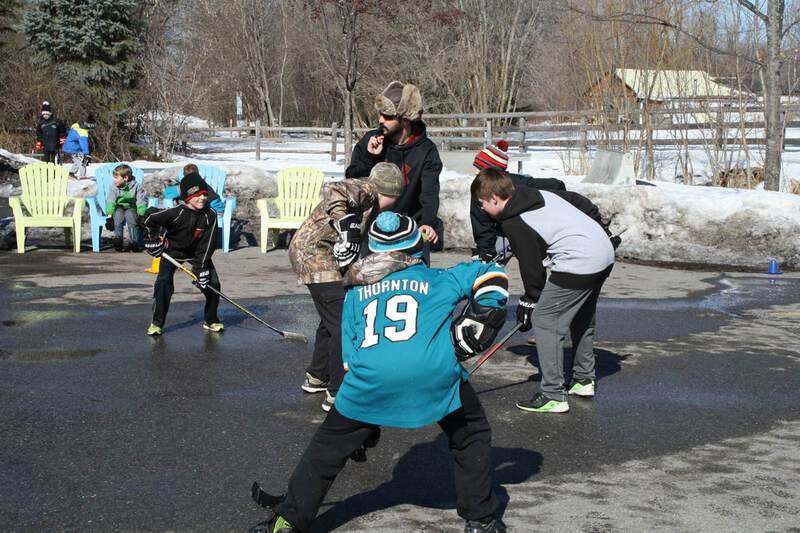 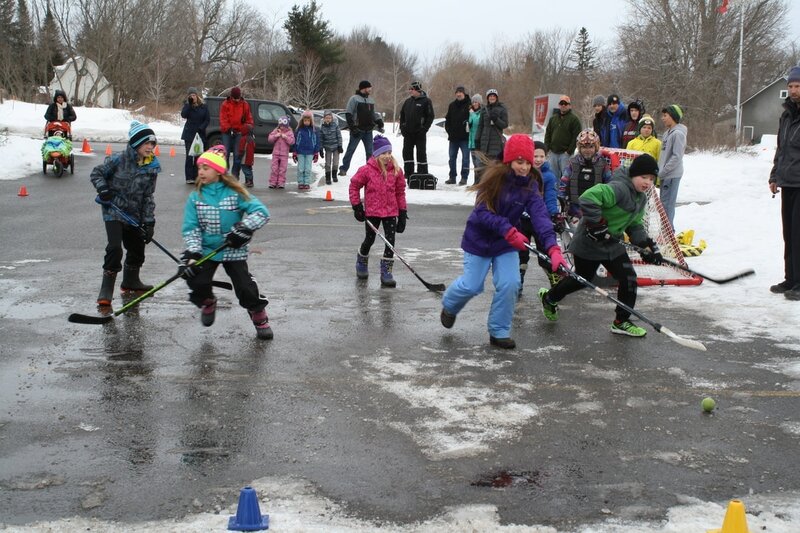 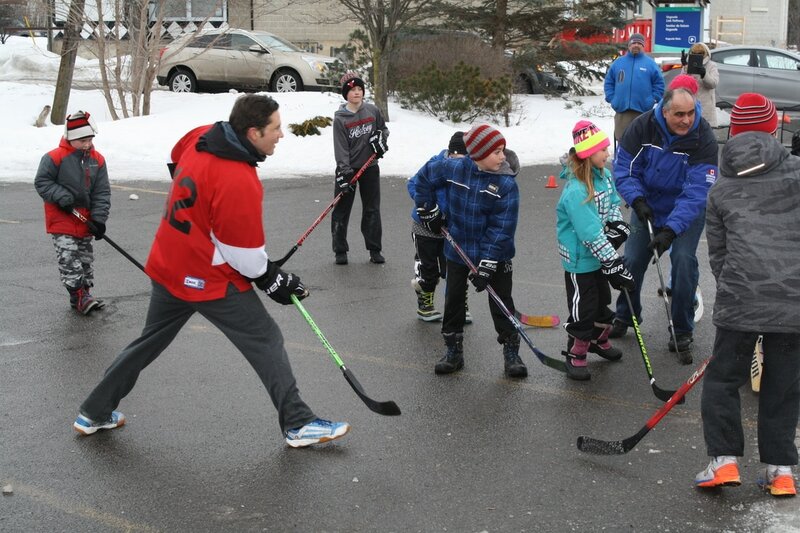 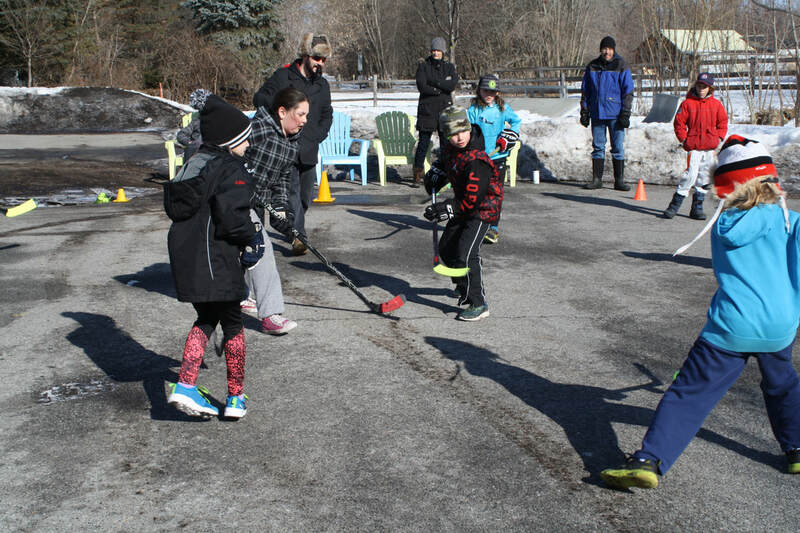 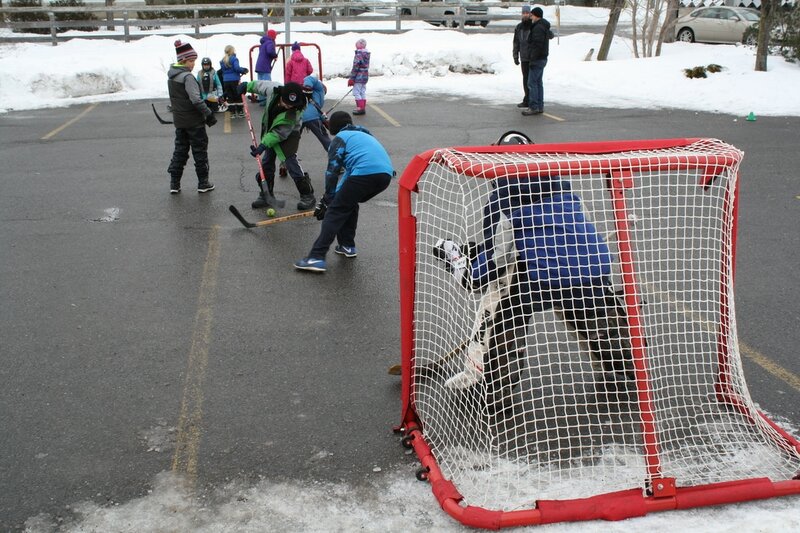 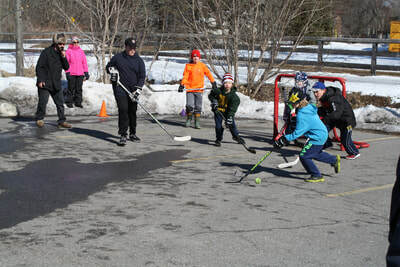 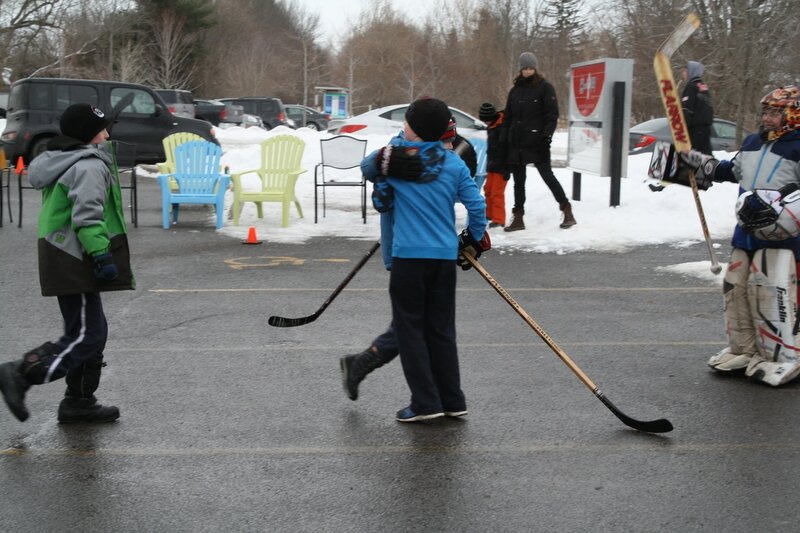 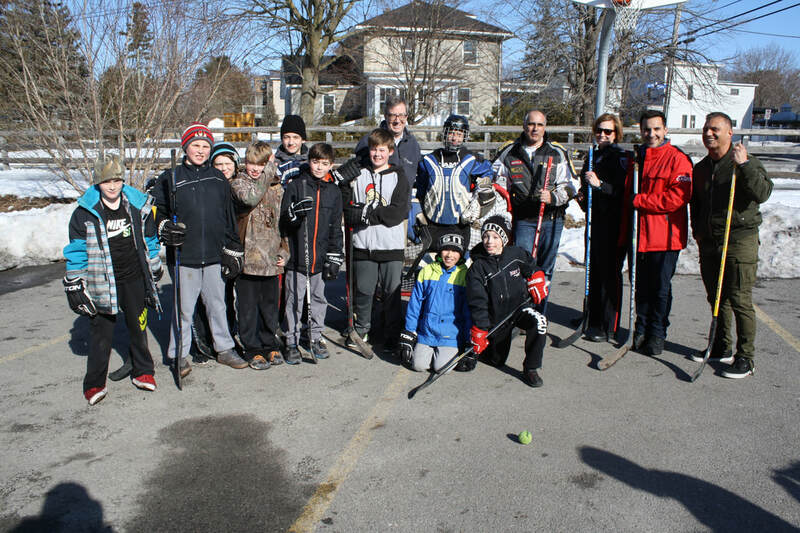 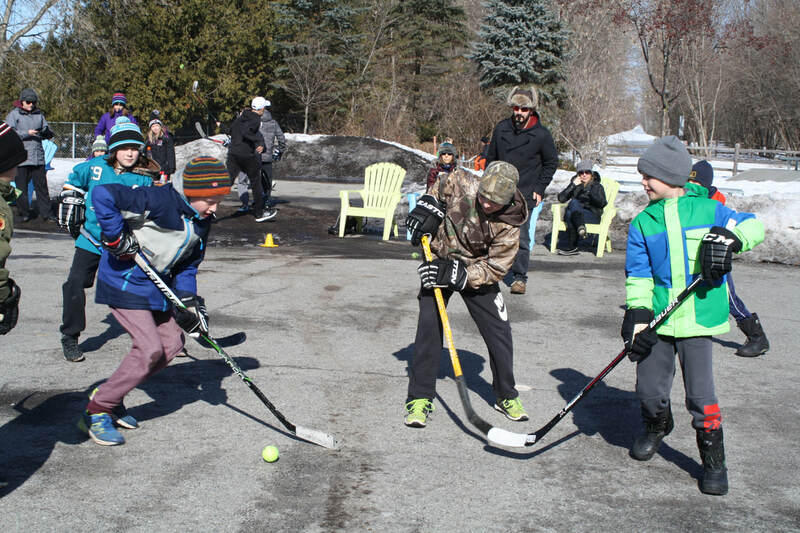 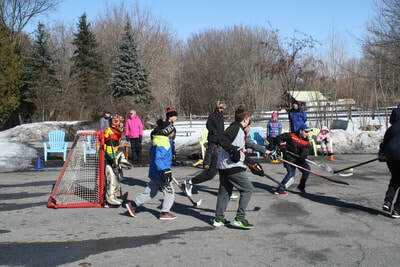 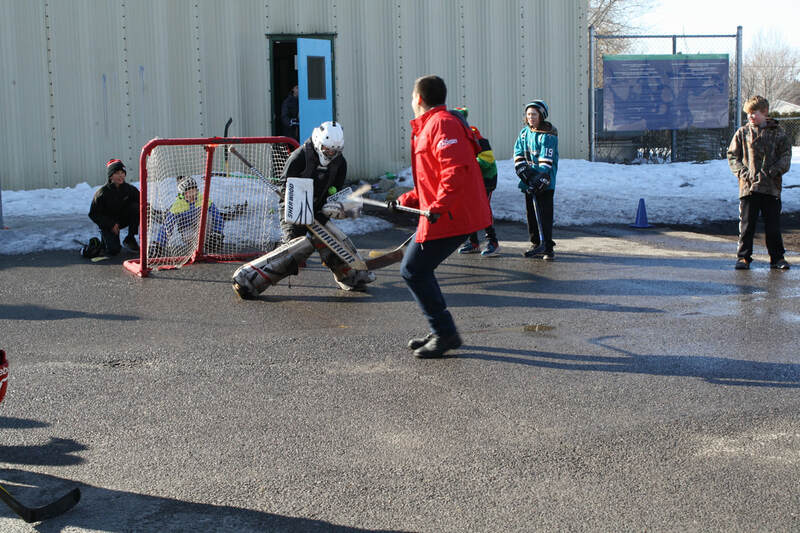 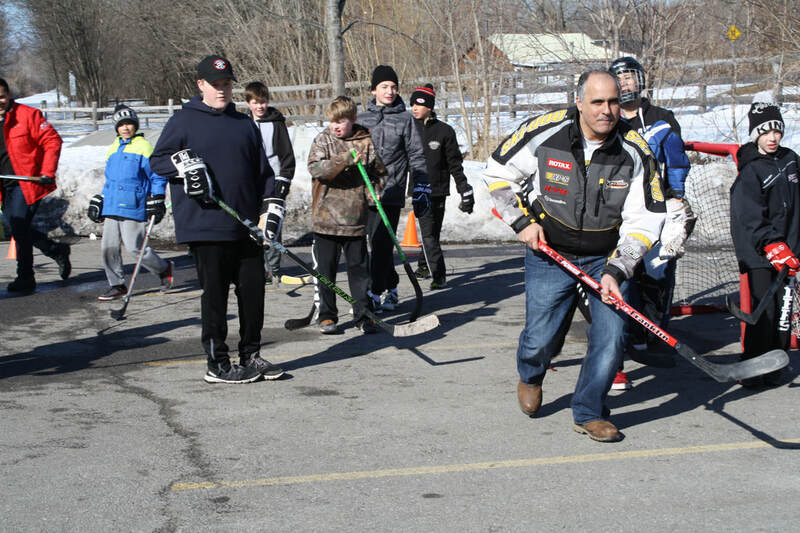 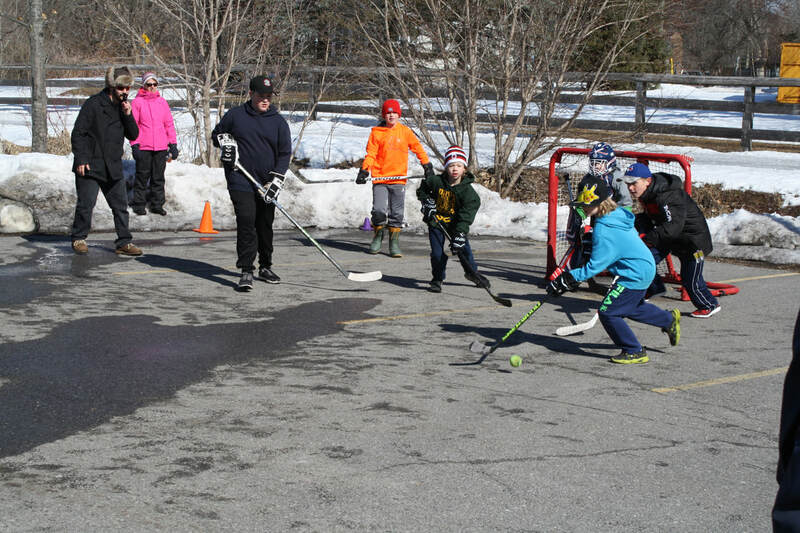 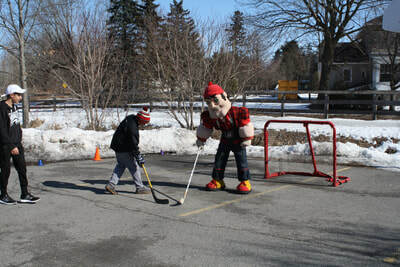 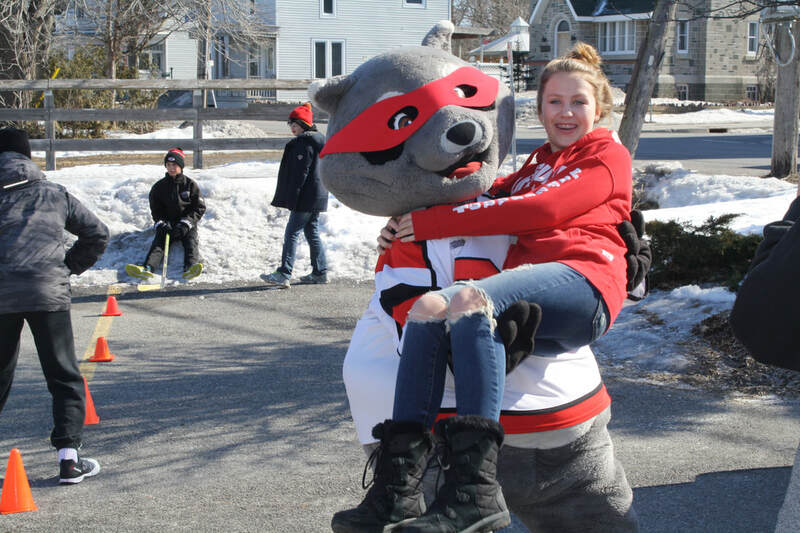 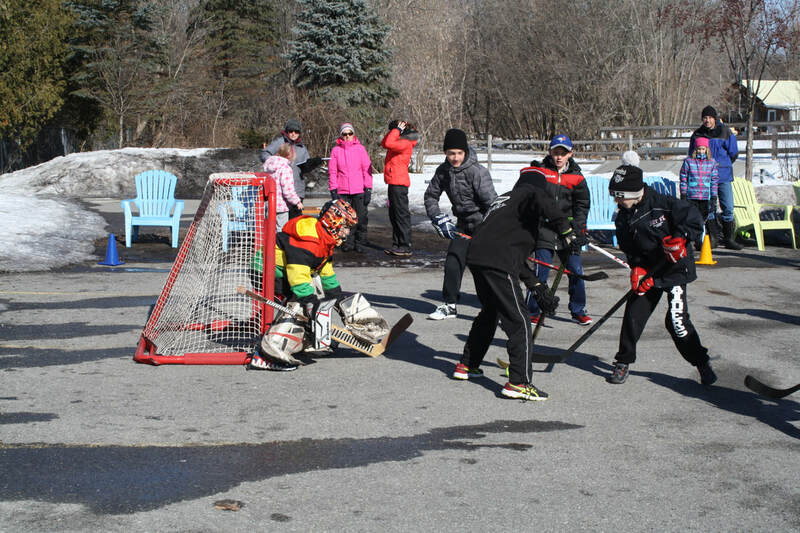 Road Hockey Tournament games will take place round-robin style between 10 am - 4 pm in the parking lot of the Osgoode Youth Association. 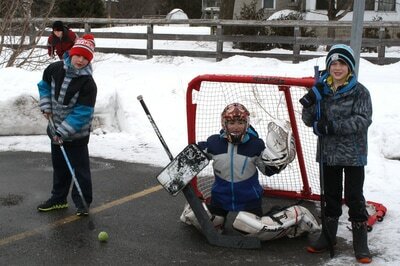 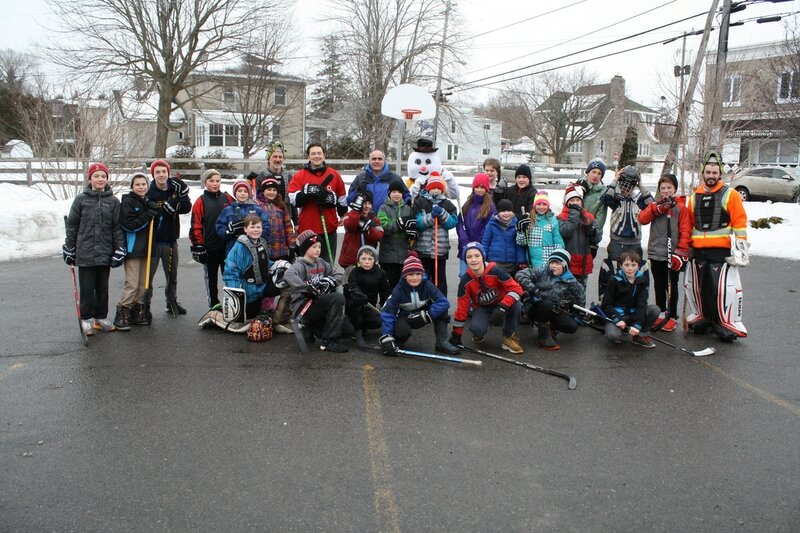 Hockey sticks, balls, goalie gear and nets are provided. 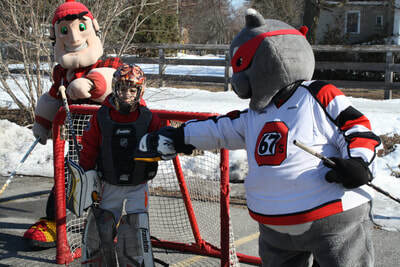 If you like, you can bring your own helmet, pads and stick. 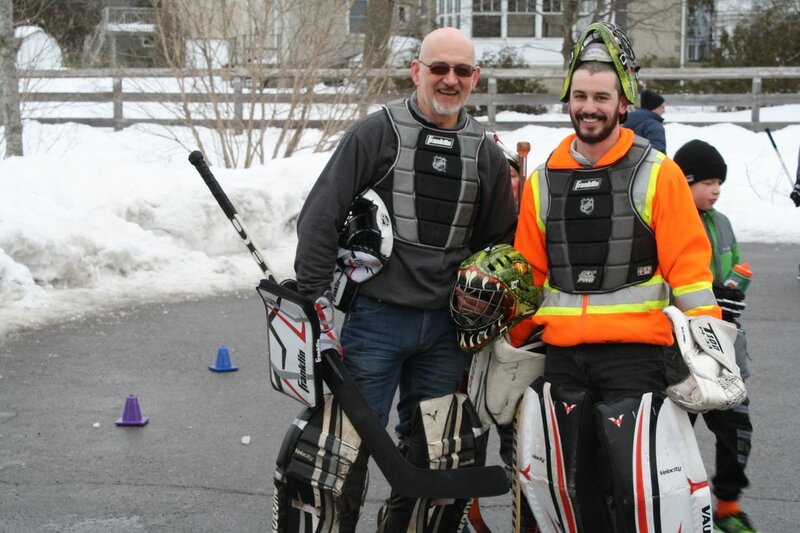 Helmets for goalies are mandatory. 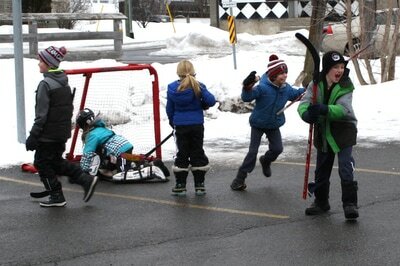 Helmets for players are strongly encouraged. 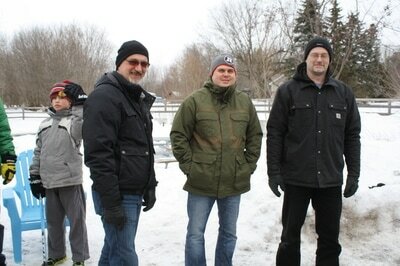 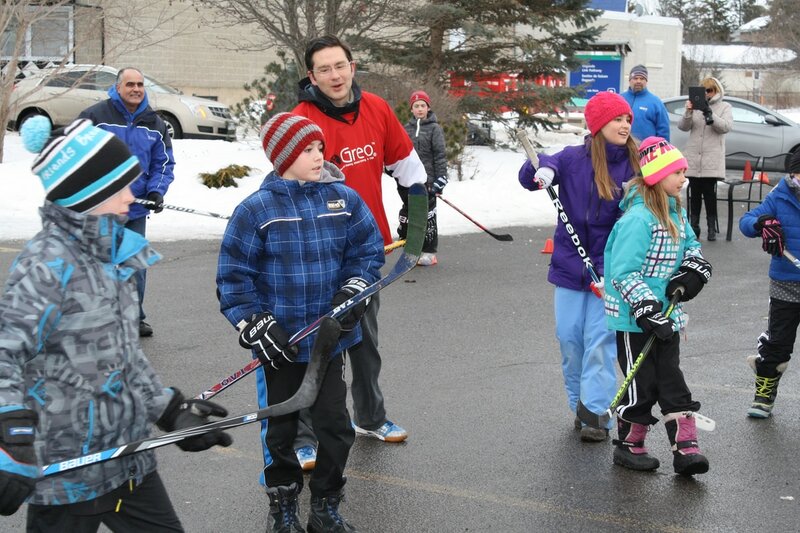 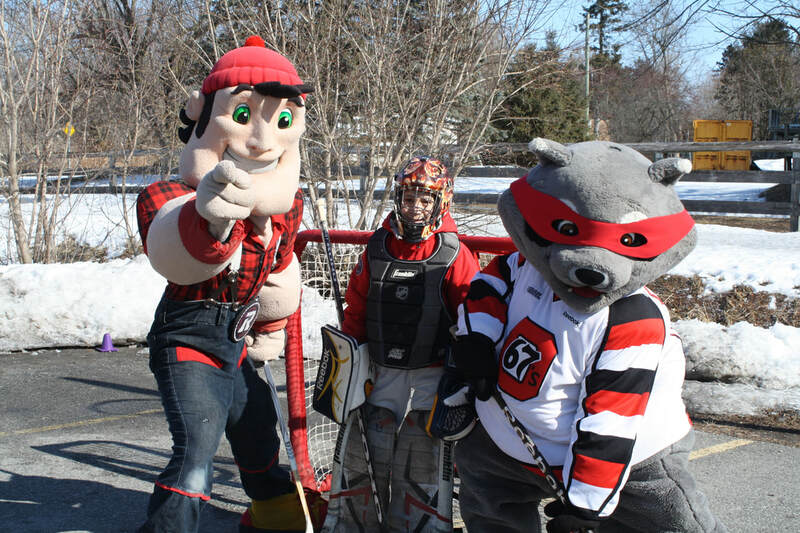 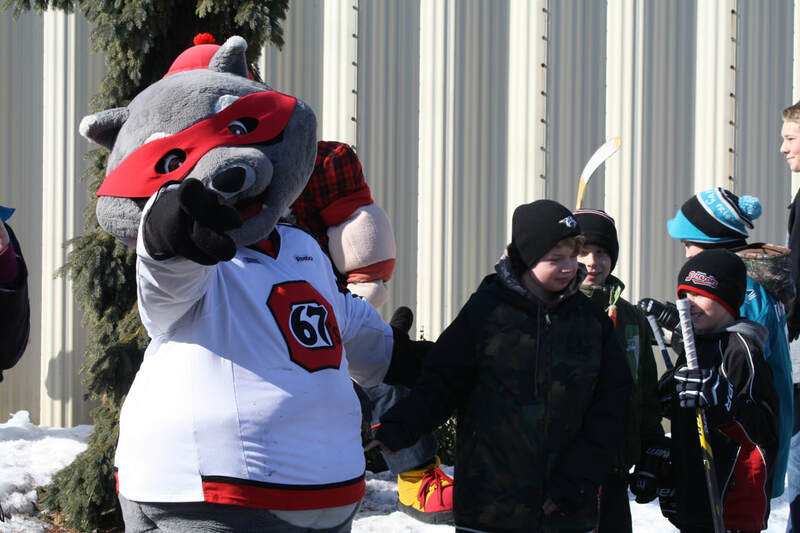 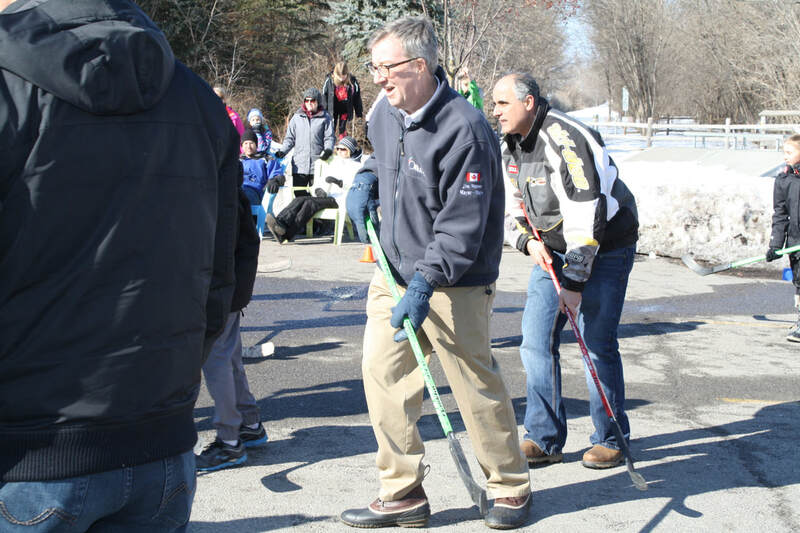 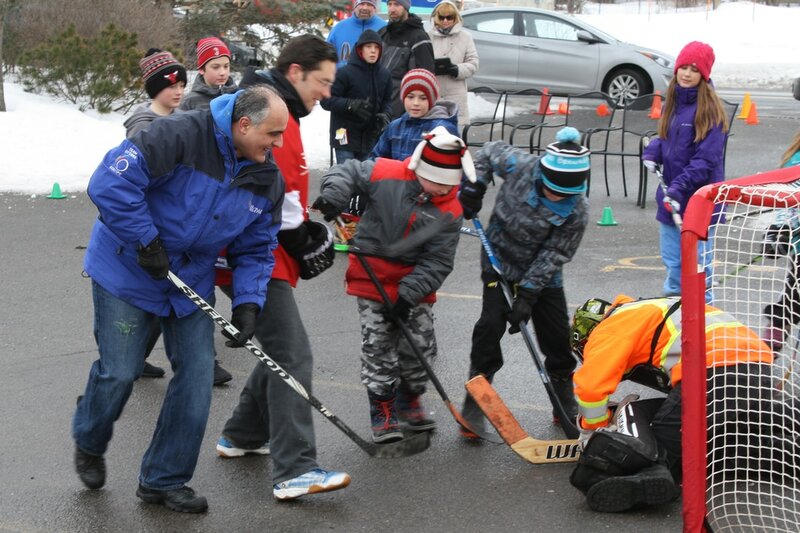 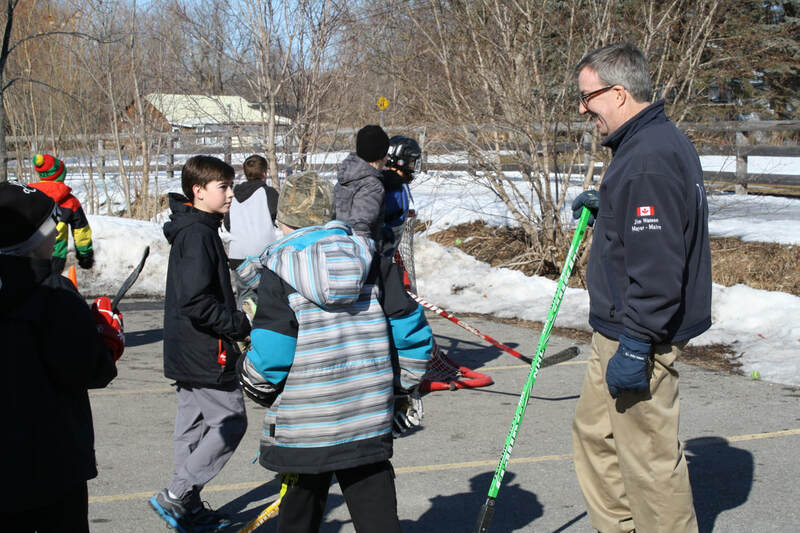 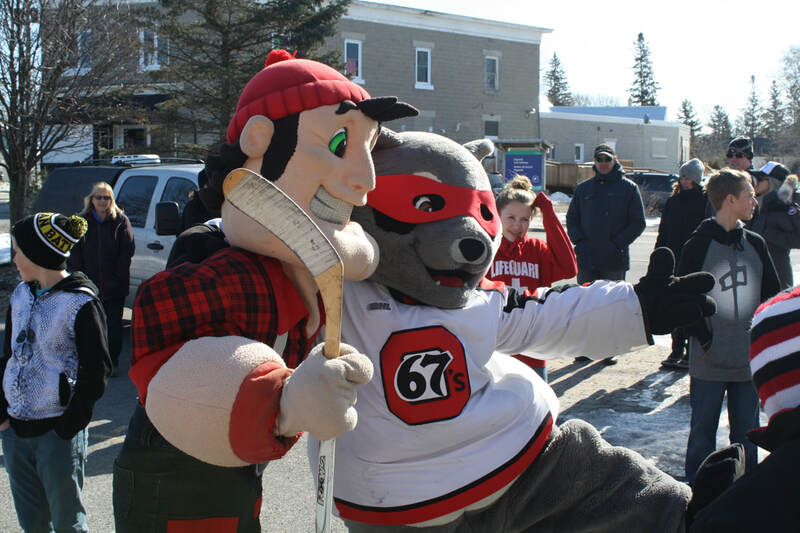 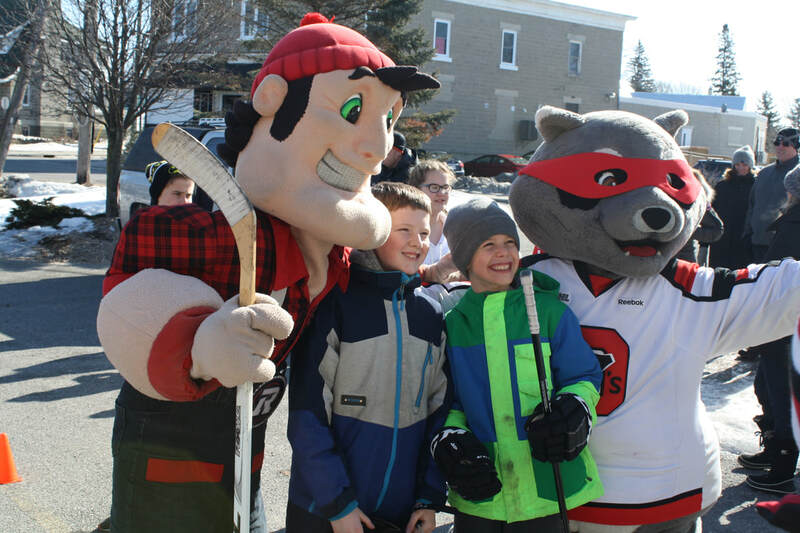 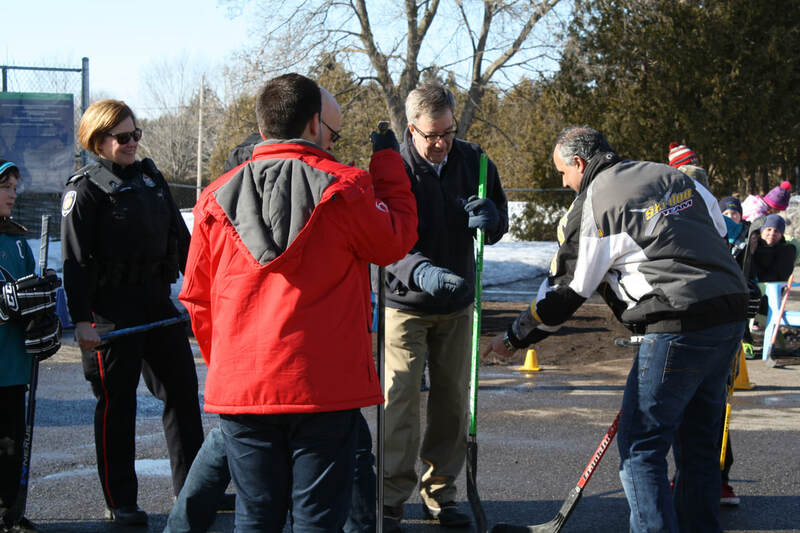 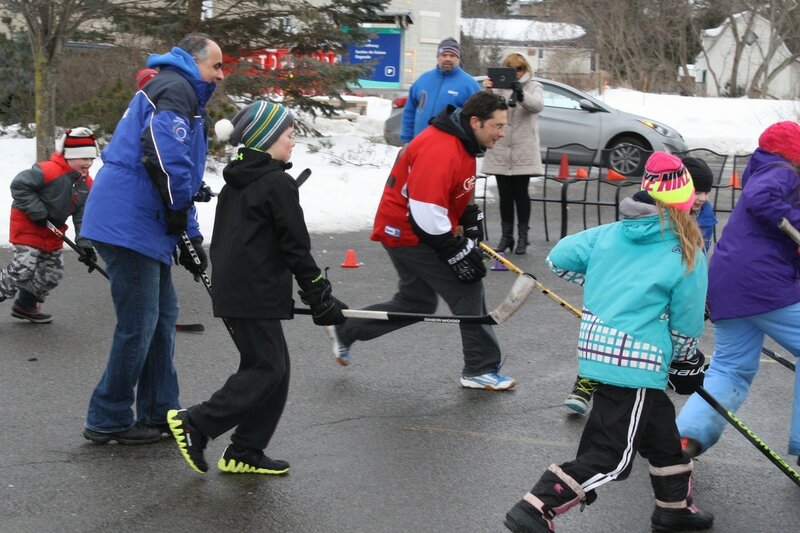 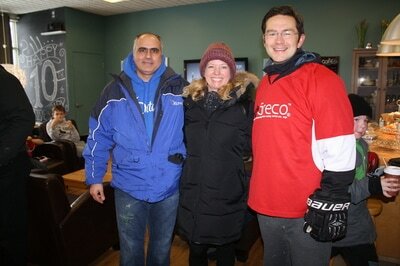 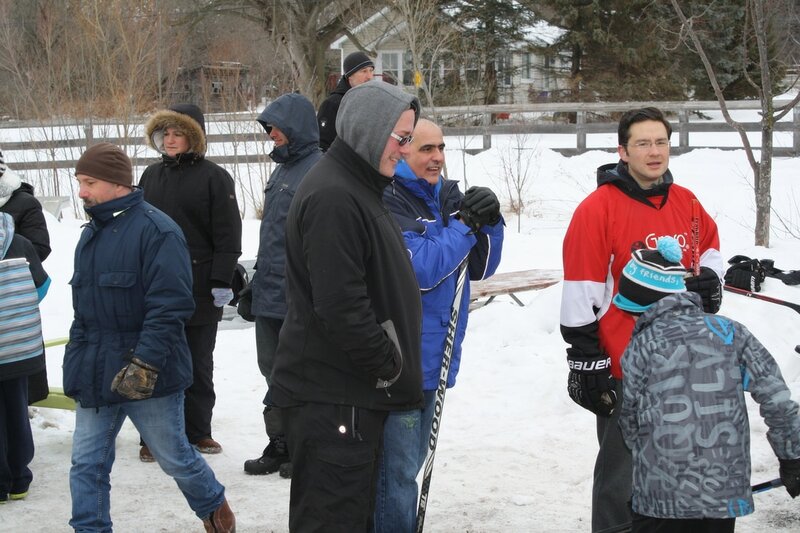 Again in 2018, Mayor Watson, Councillor Darouze and MP Poilievre are joining us for an 'all youth invited' pick up game! From 10:30 am - 11 am ALL youth who are registered to play in the Road Hockey Tournament are welcome to join in on this 'just for fun' game. 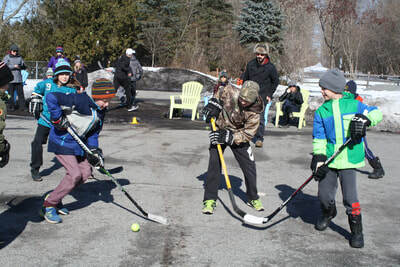 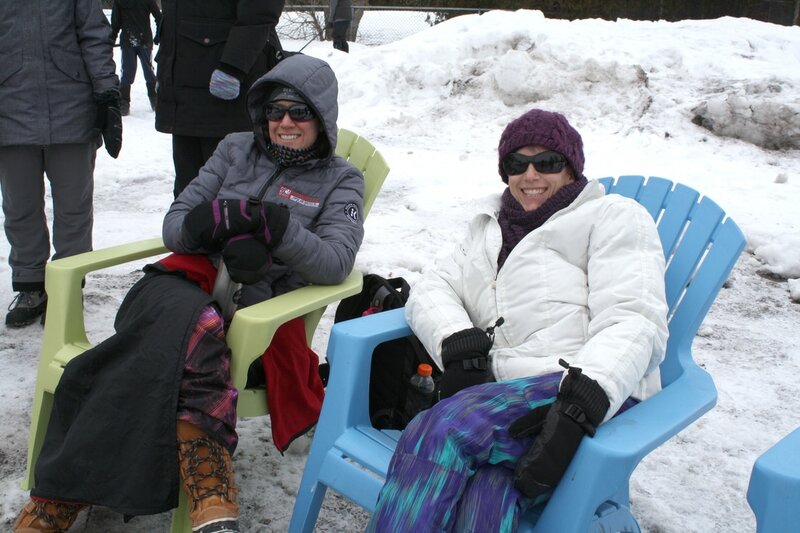 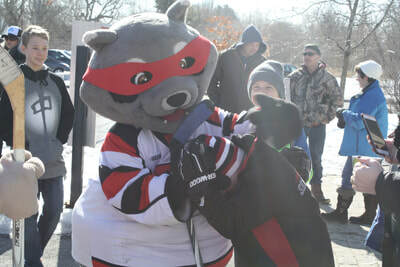 Spectators can enjoy games outdoors. 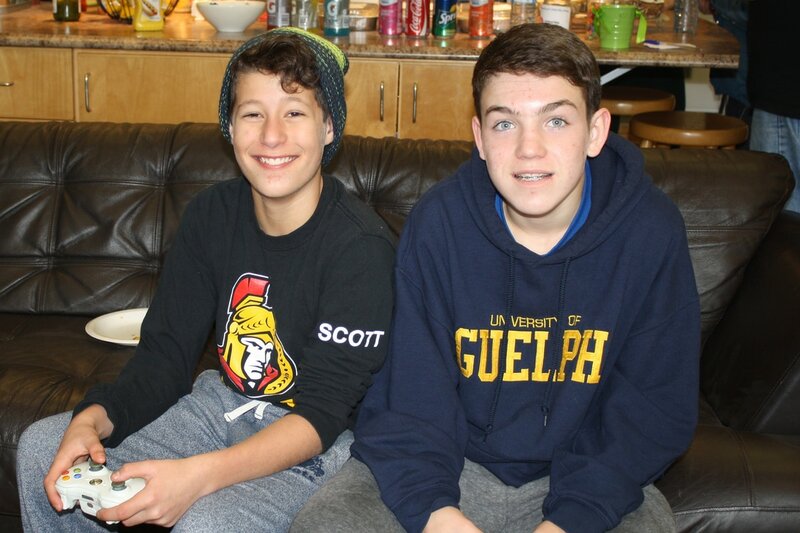 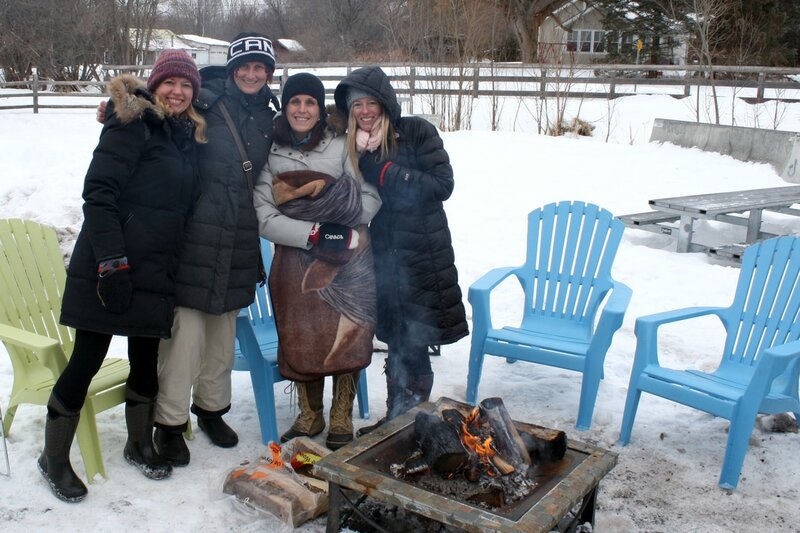 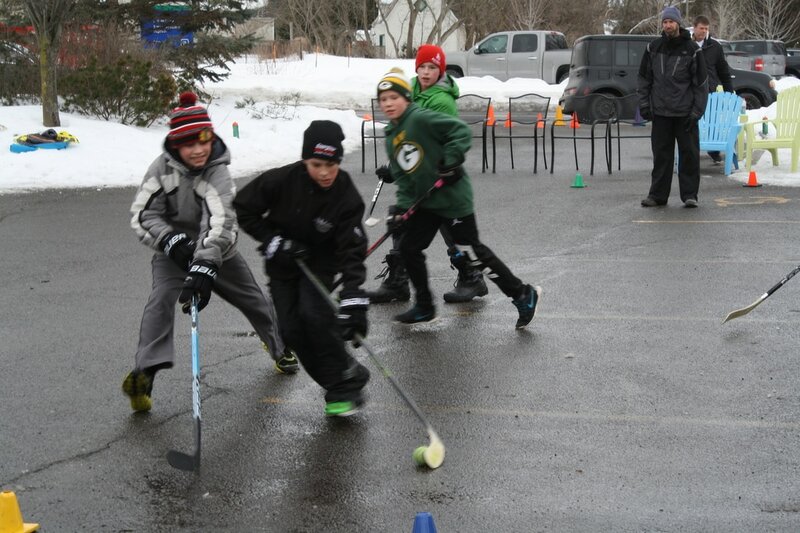 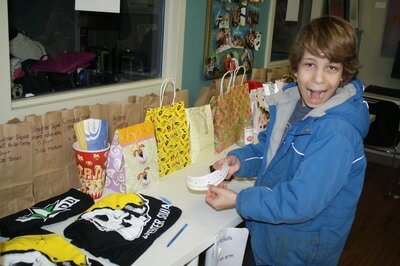 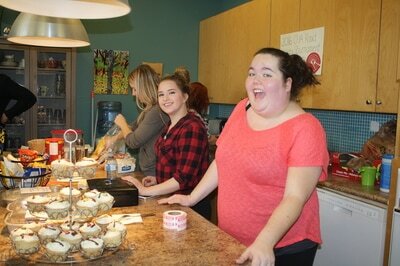 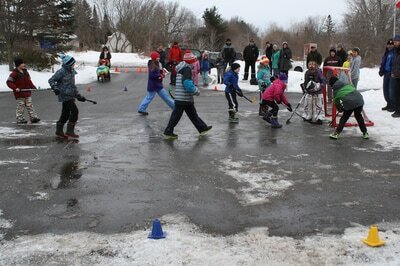 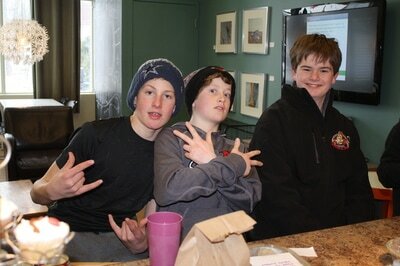 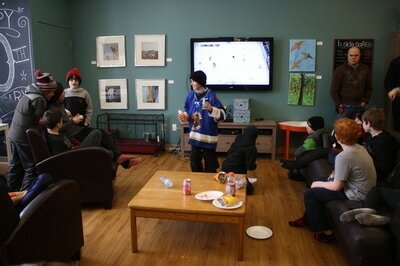 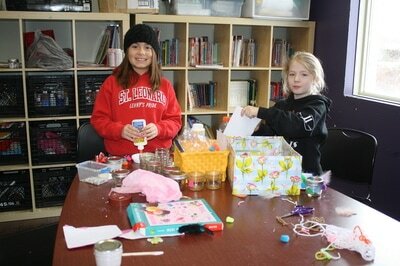 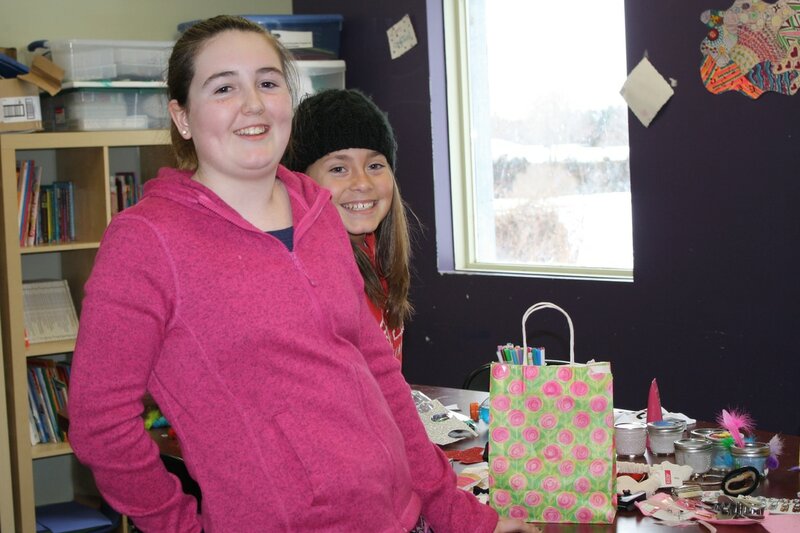 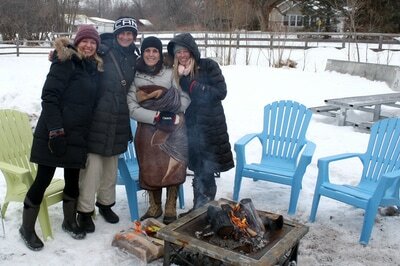 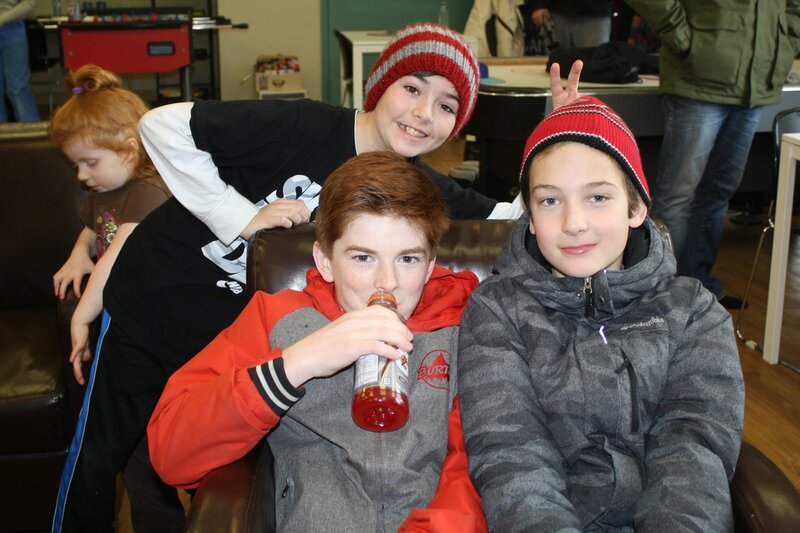 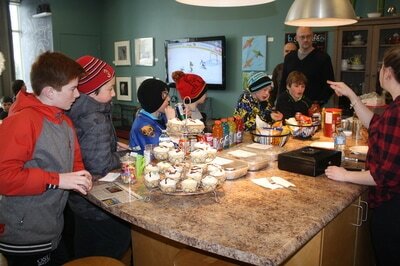 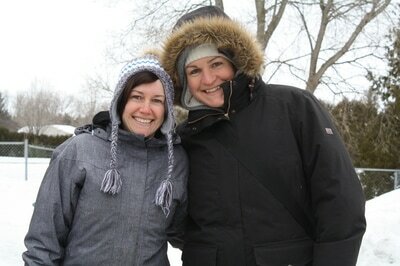 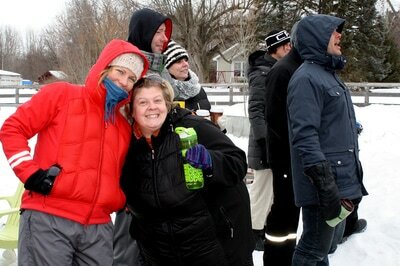 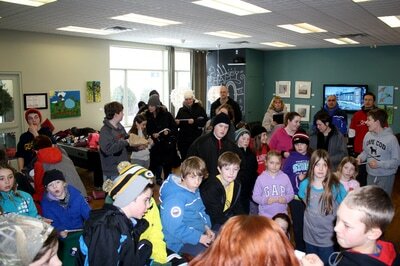 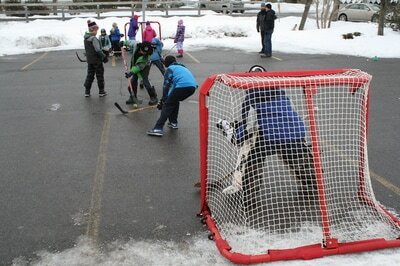 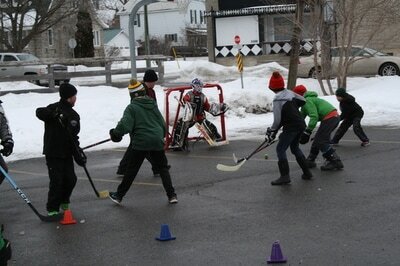 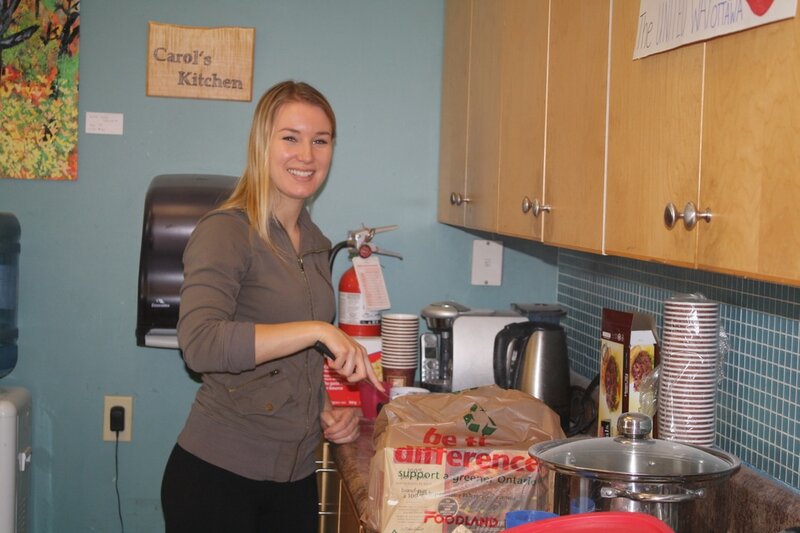 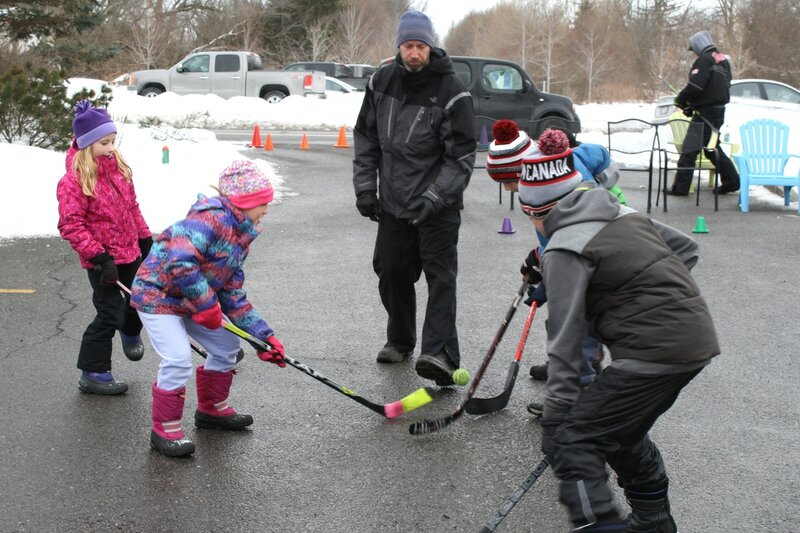 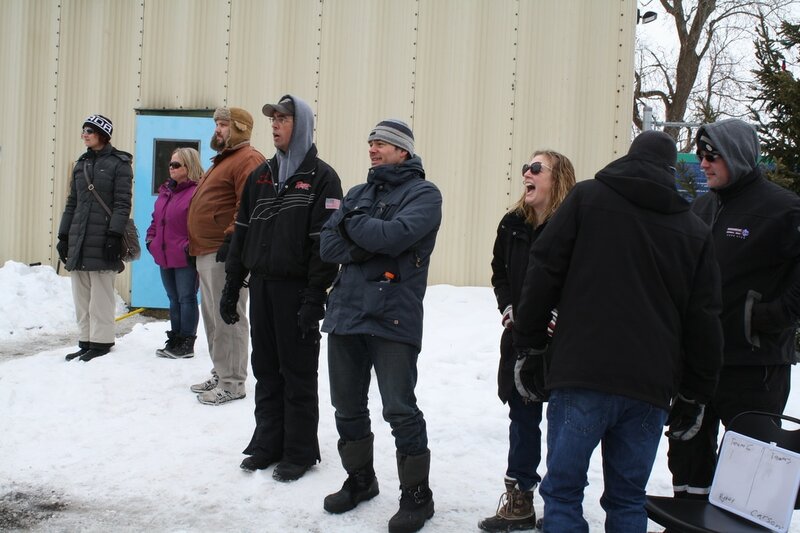 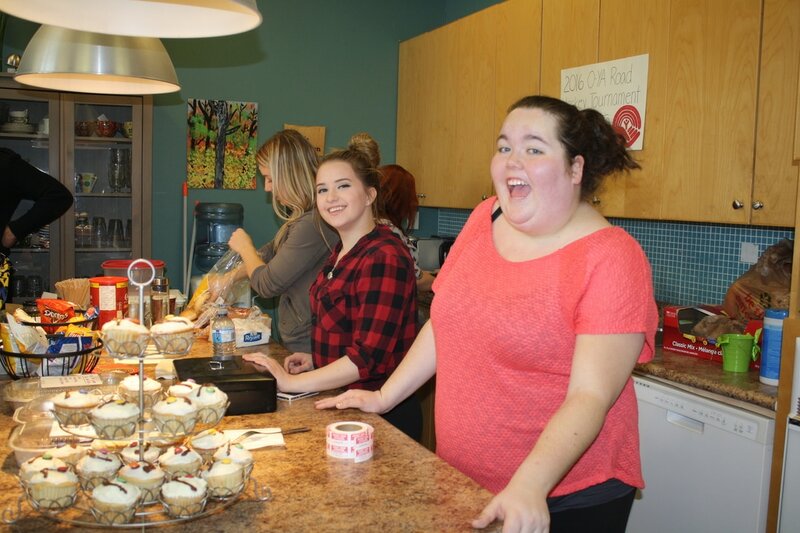 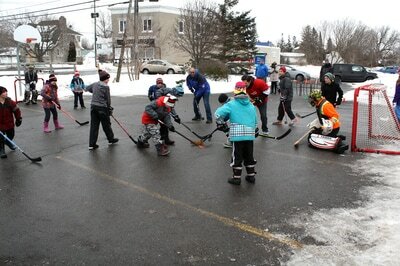 Or, warm up indoors between games with a canteen, craft station, auction and NHL Games on the X-Box. 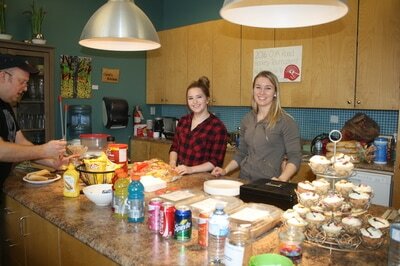 Lunch Menu (burgers, hot dogs, chips and drinks). 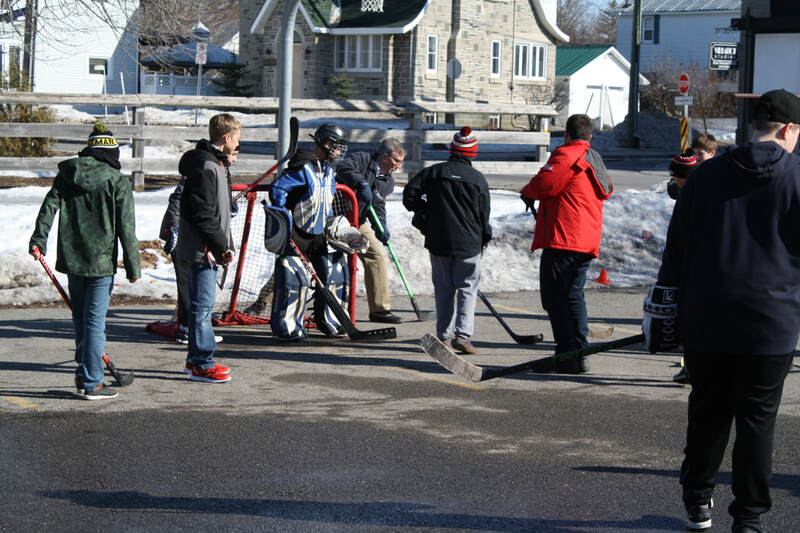 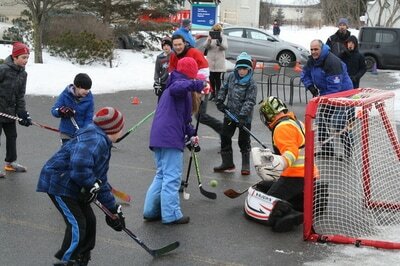 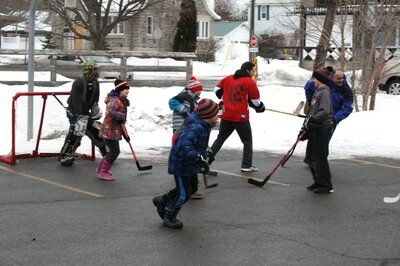 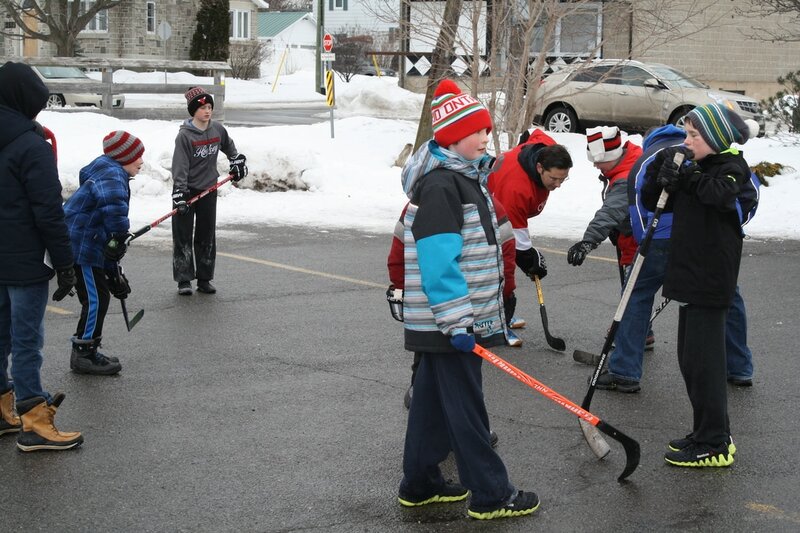 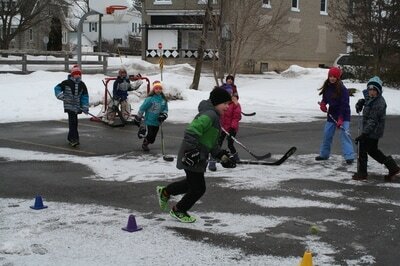 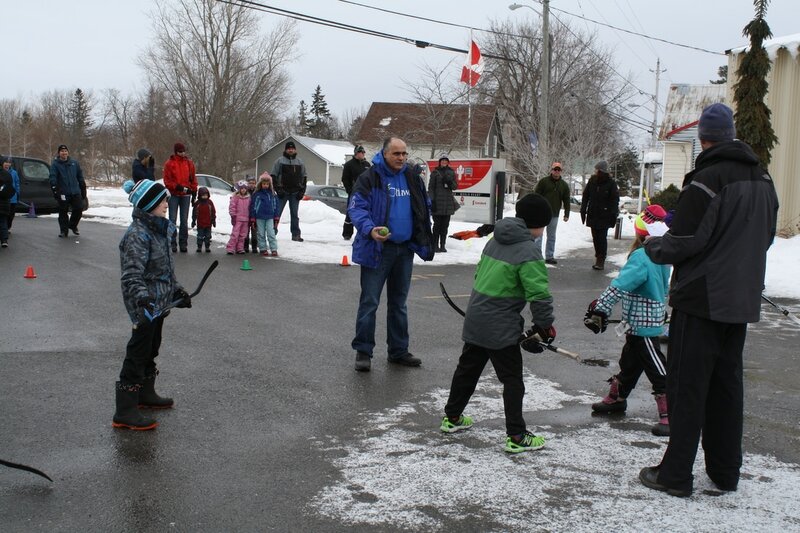 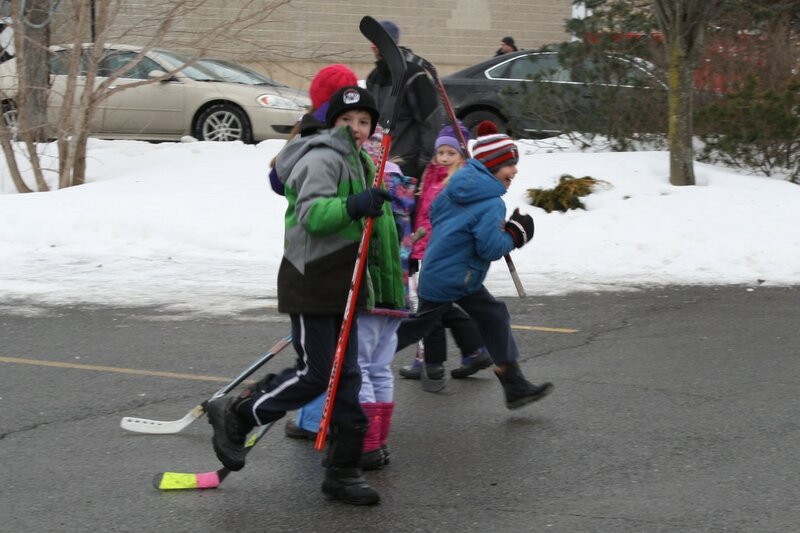 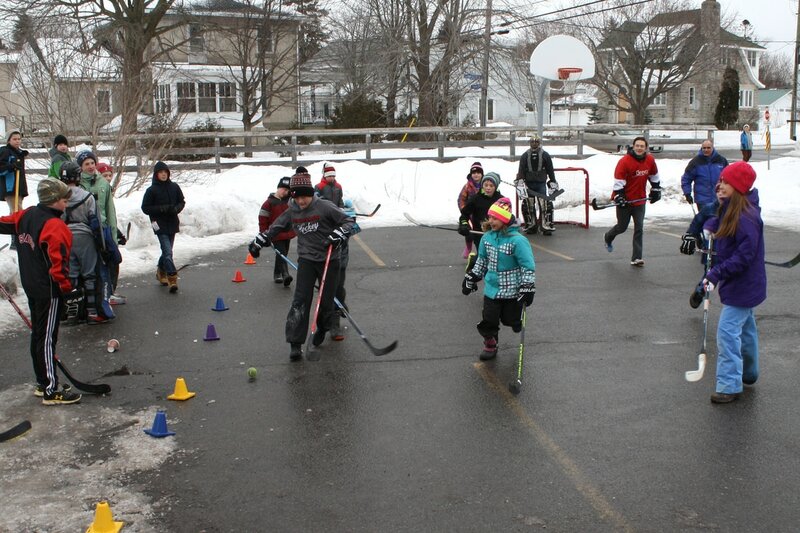 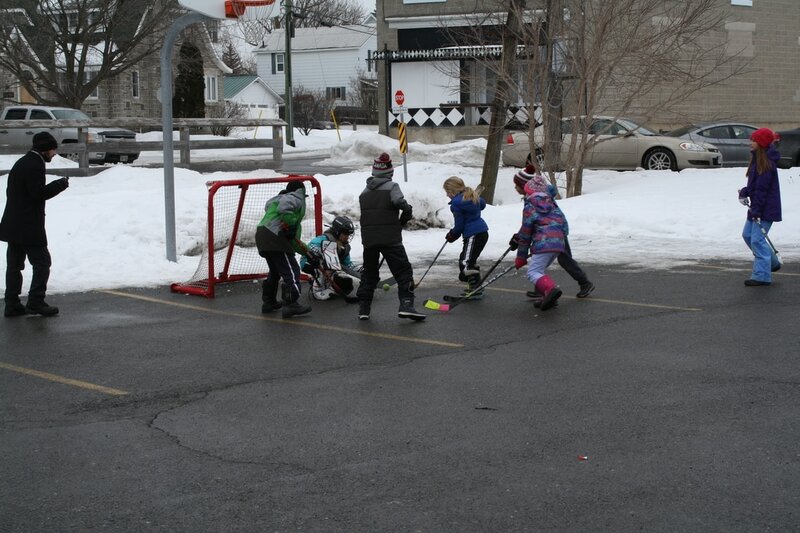 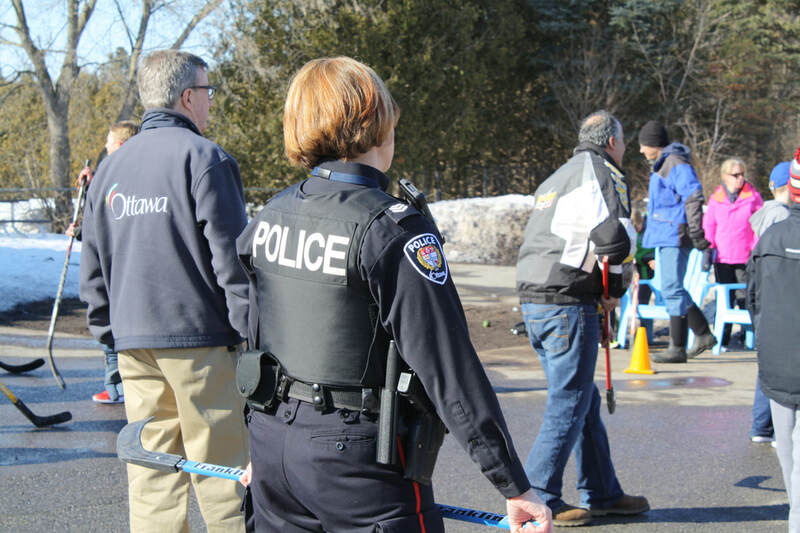 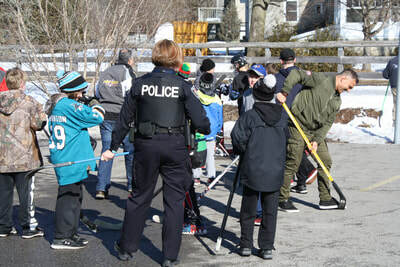 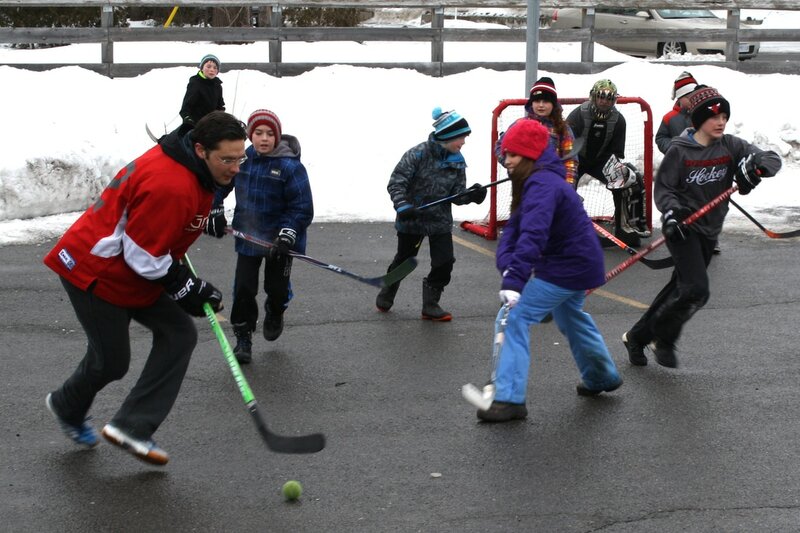 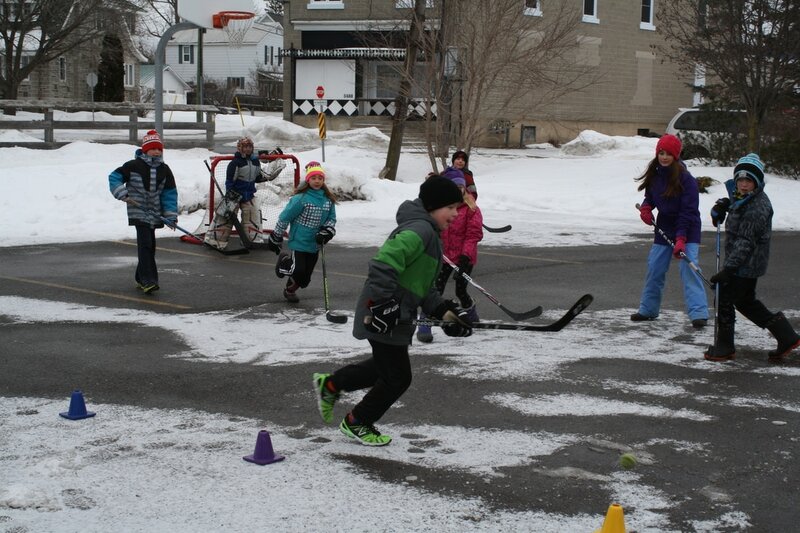 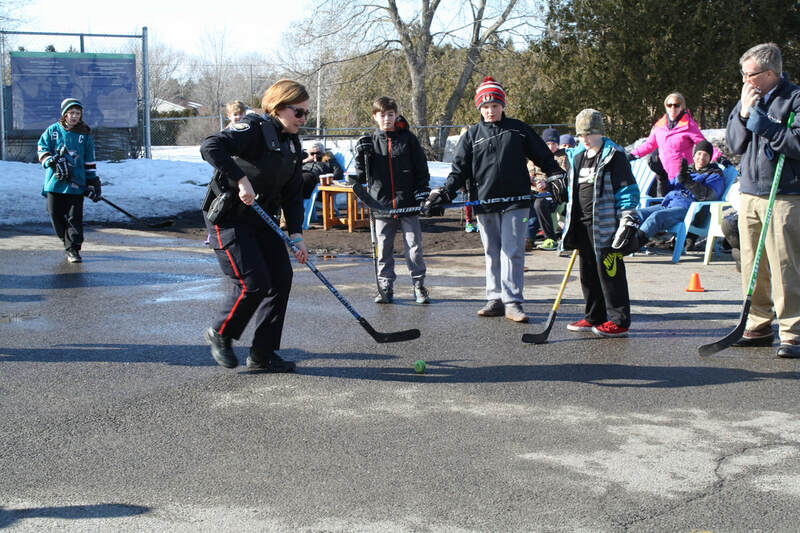 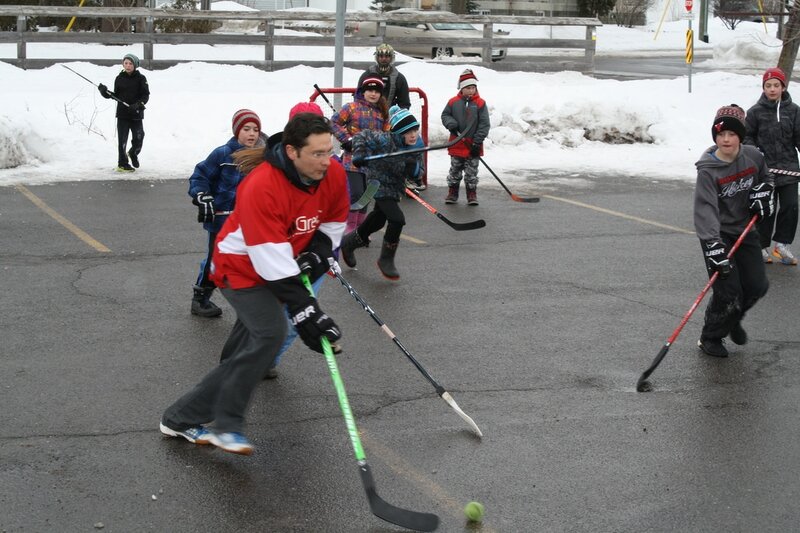 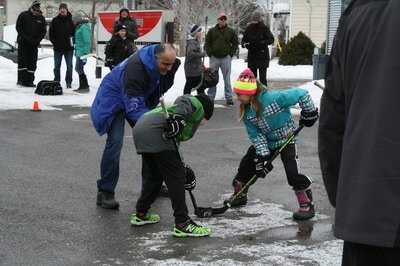 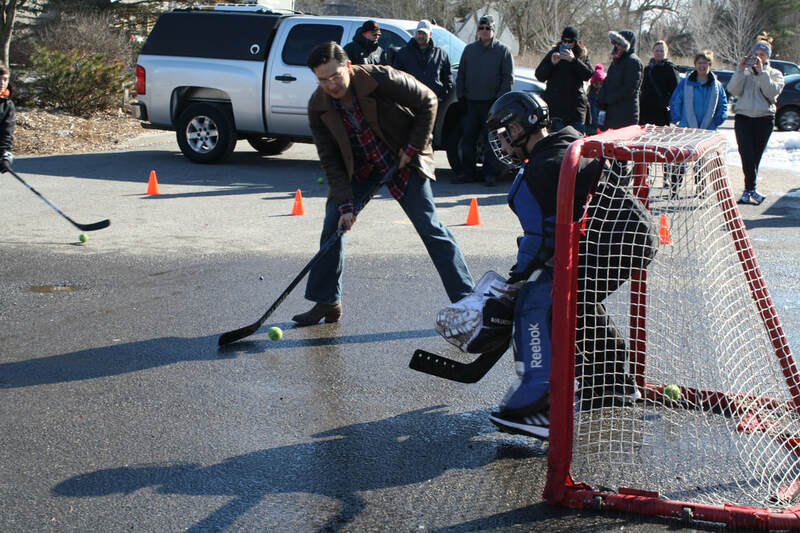 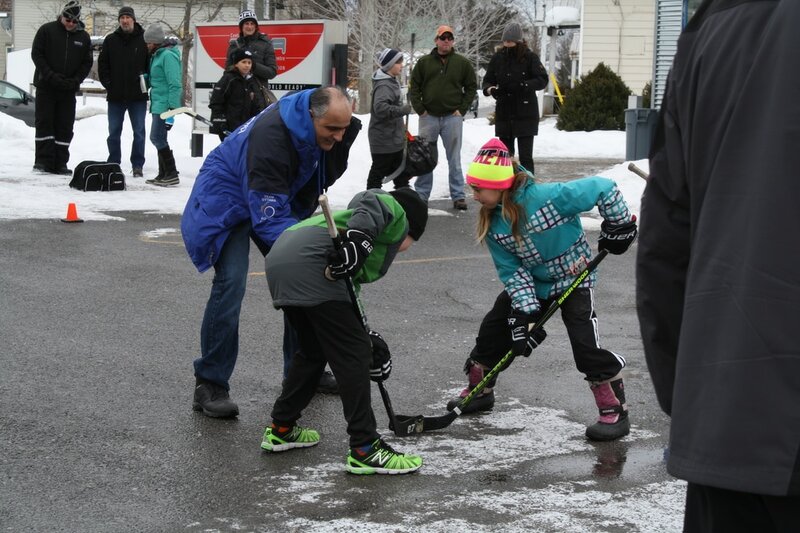 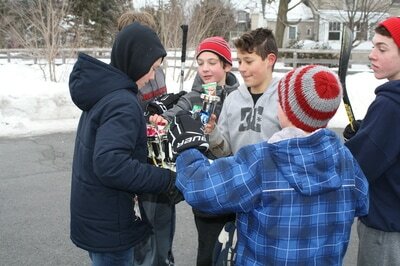 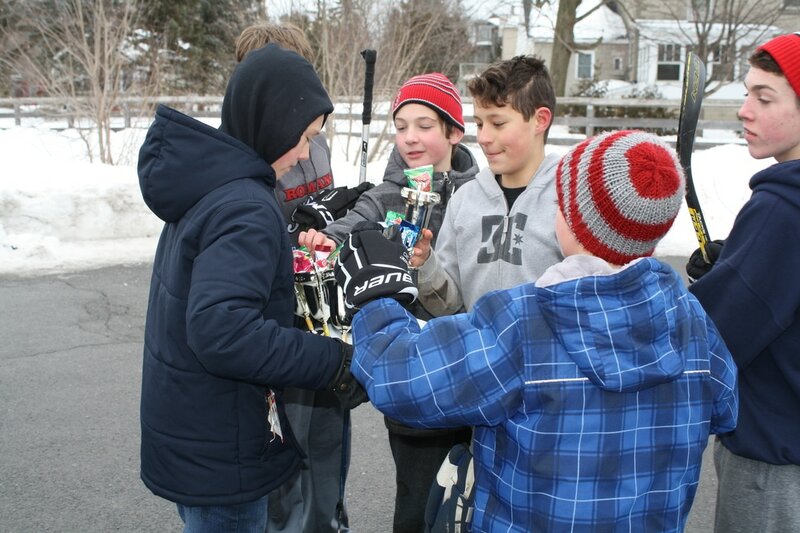 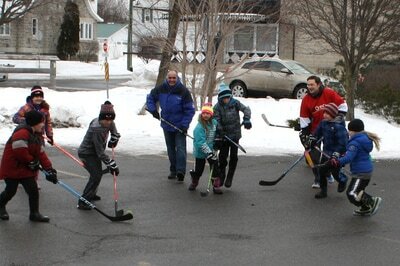 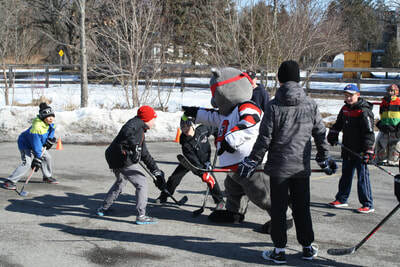 Please note, O-YA is not responsible for child / youth supervision during the Road Hockey Tournament.